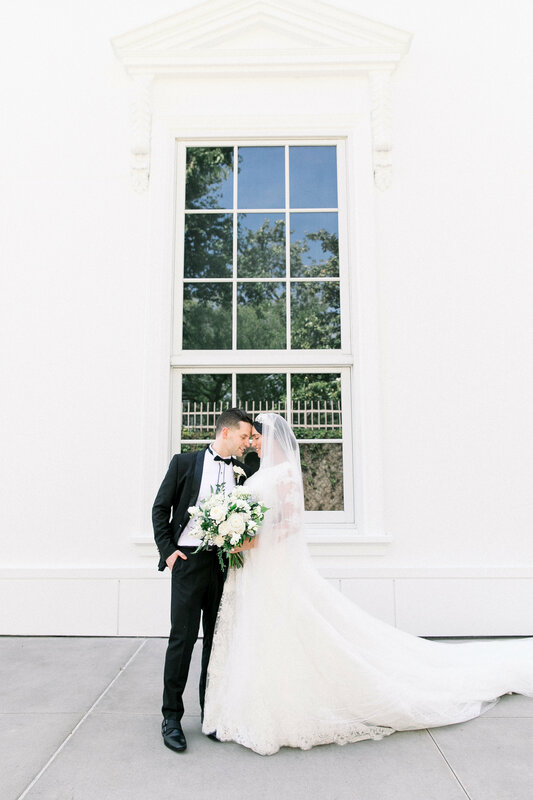 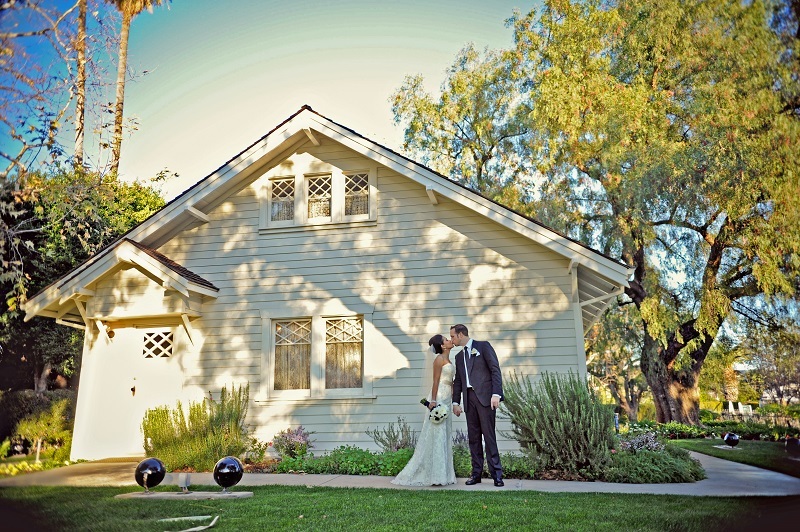 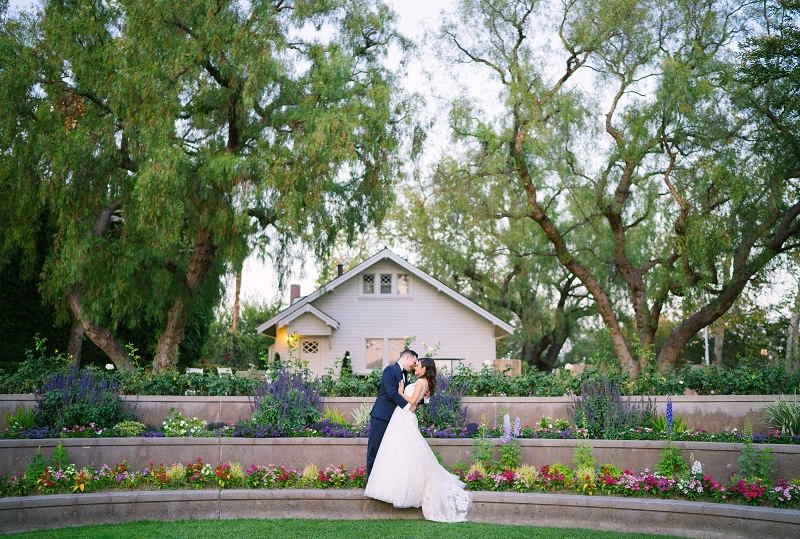 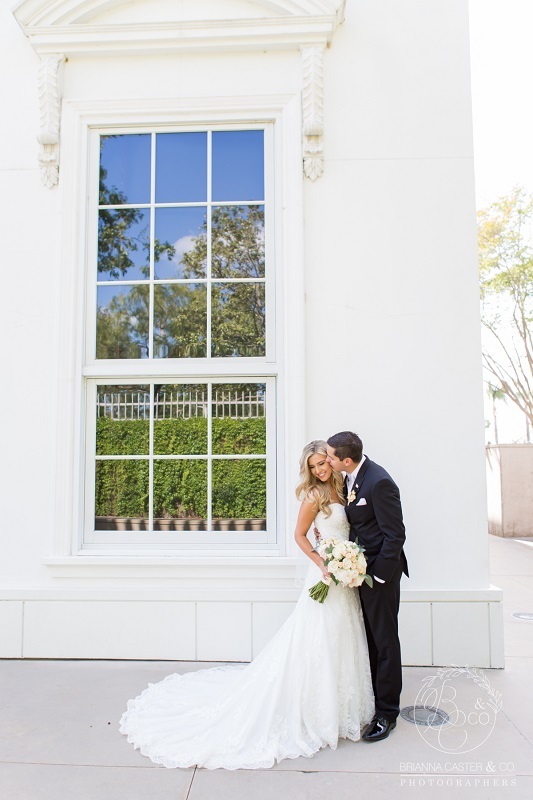 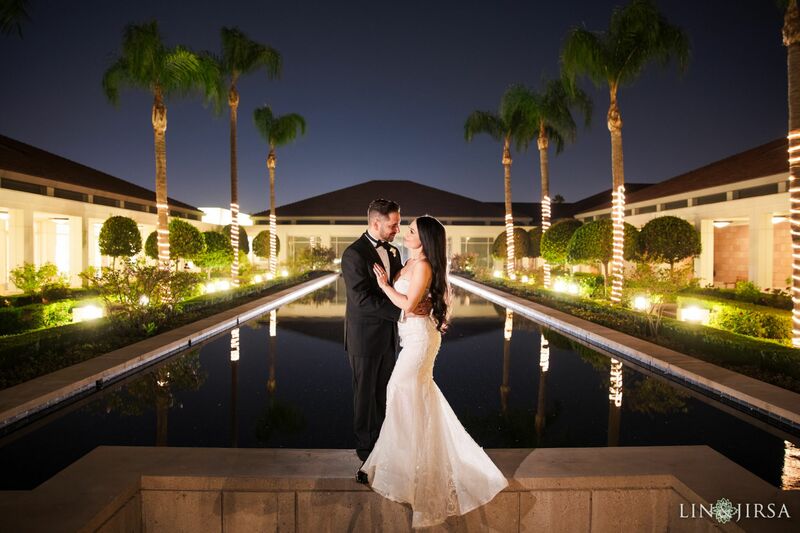 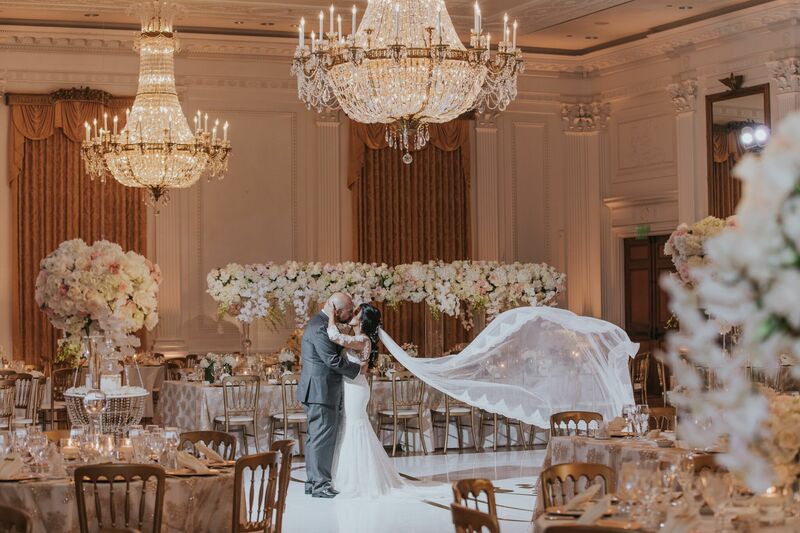 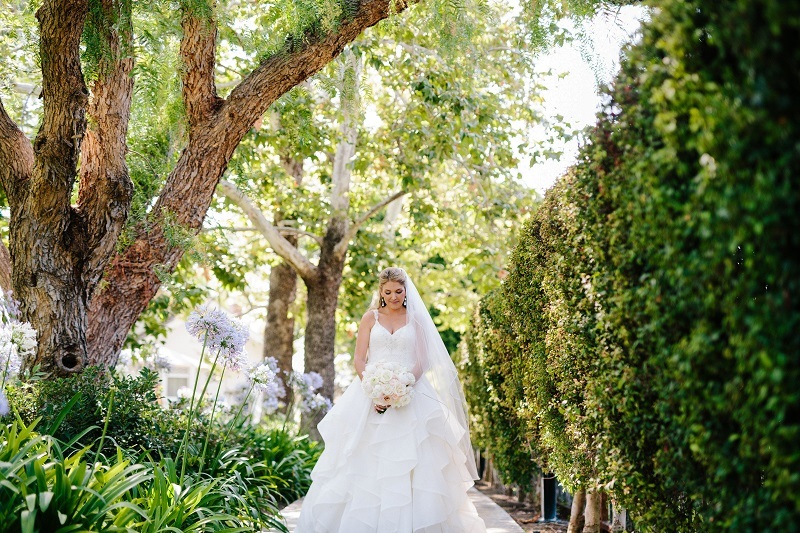 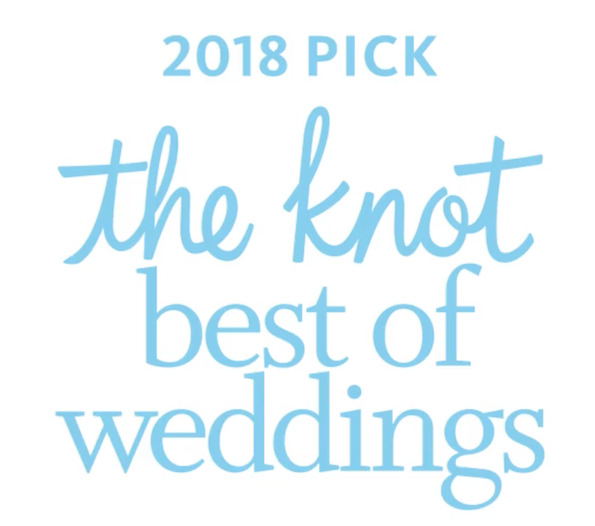 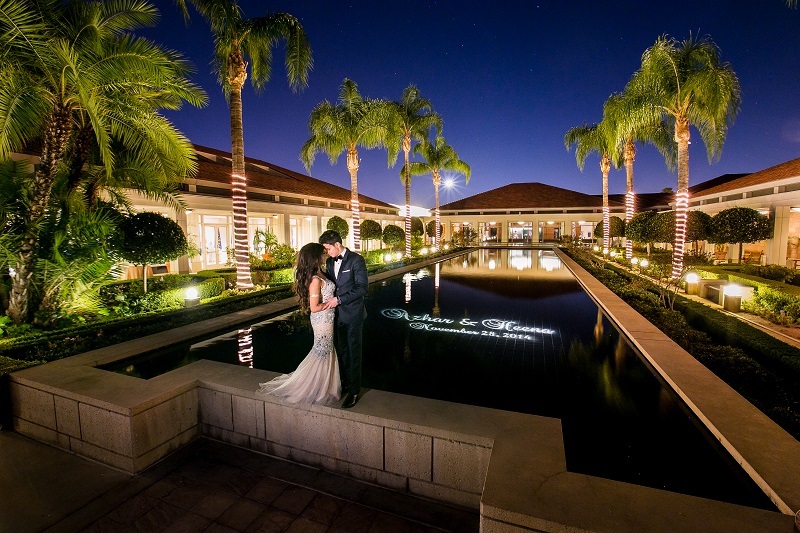 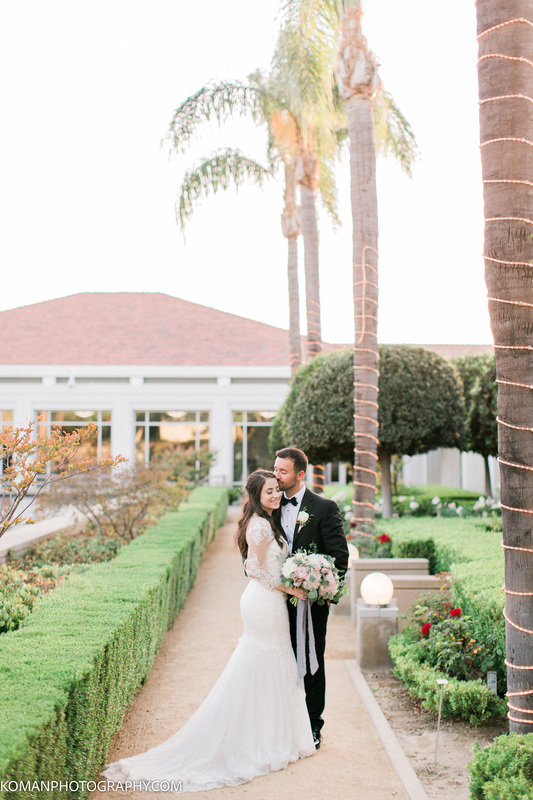 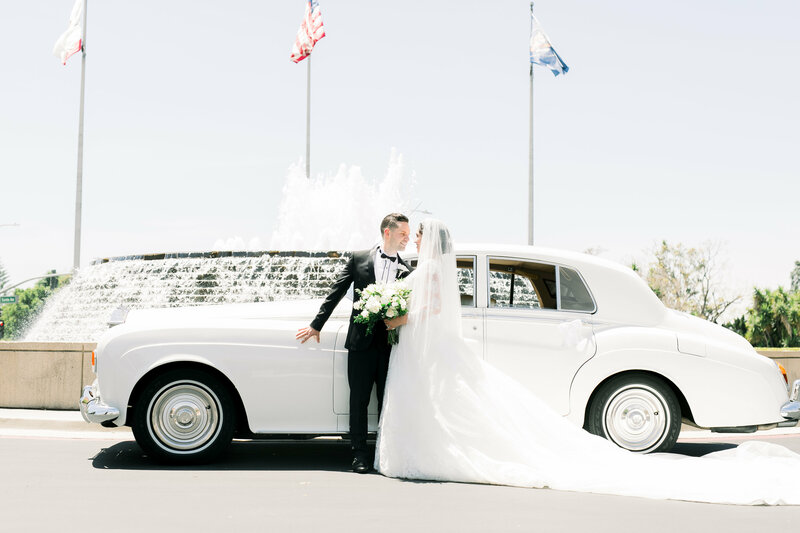 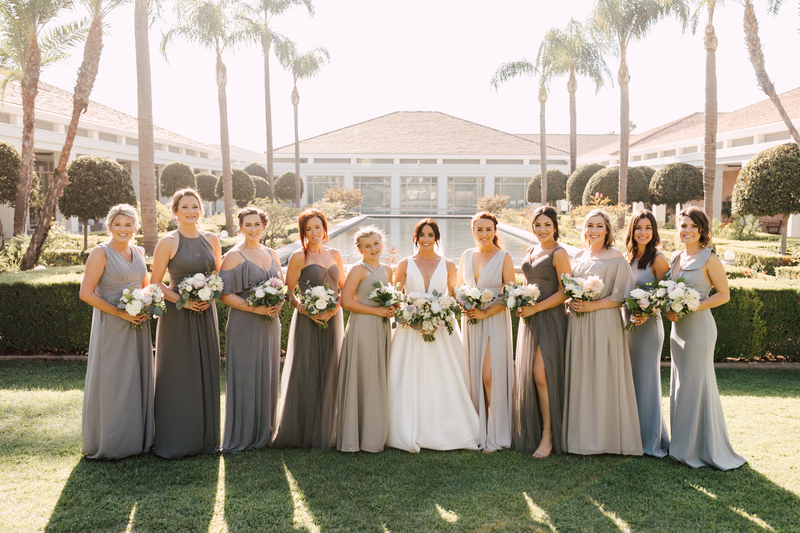 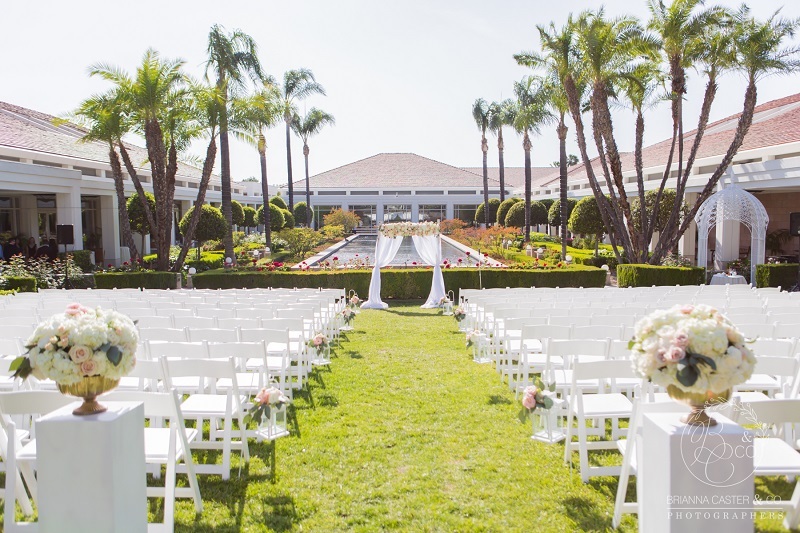 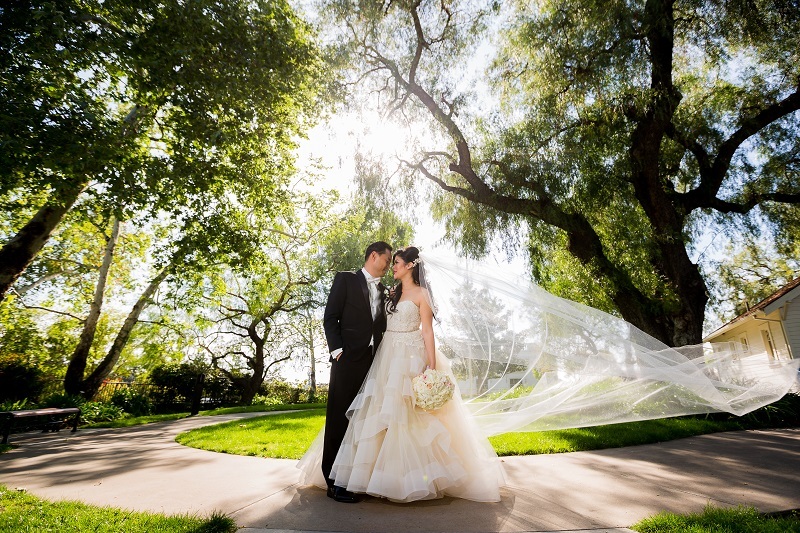 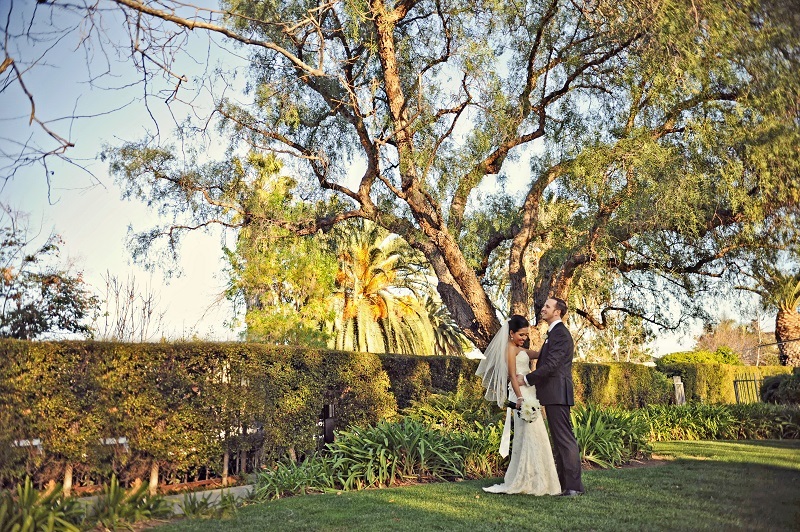 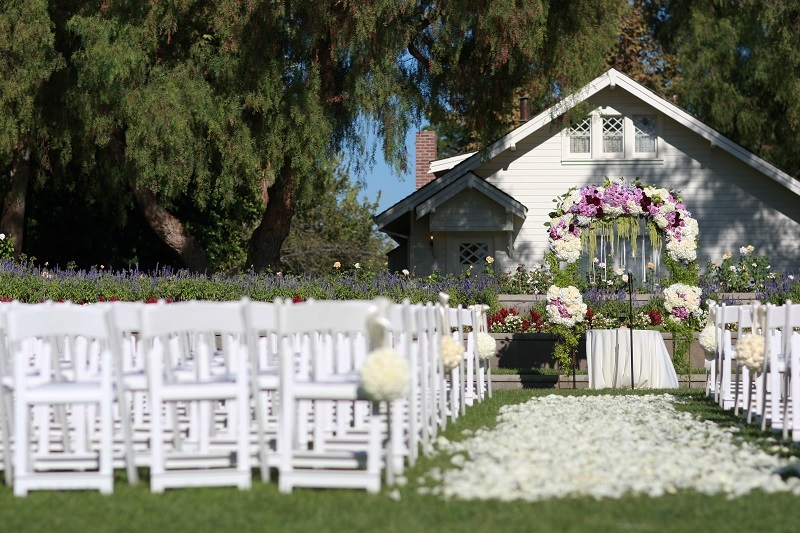 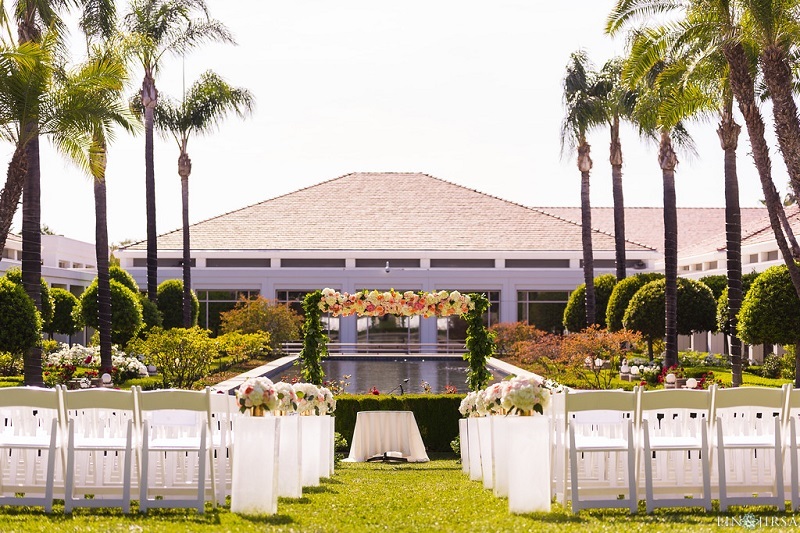 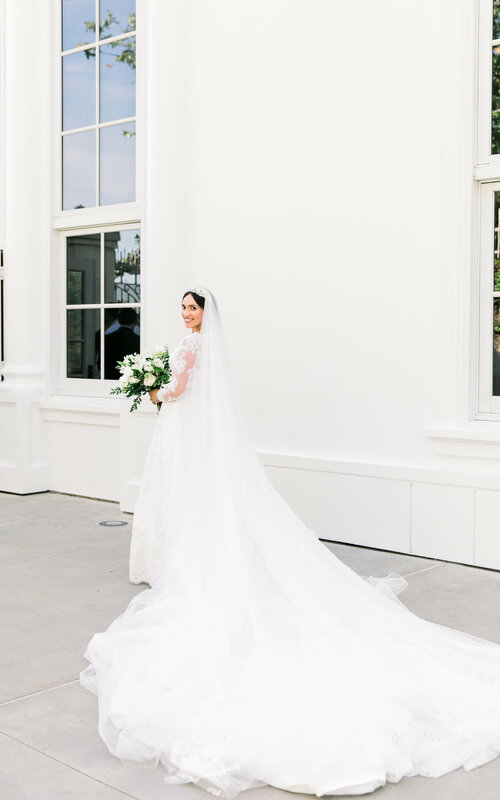 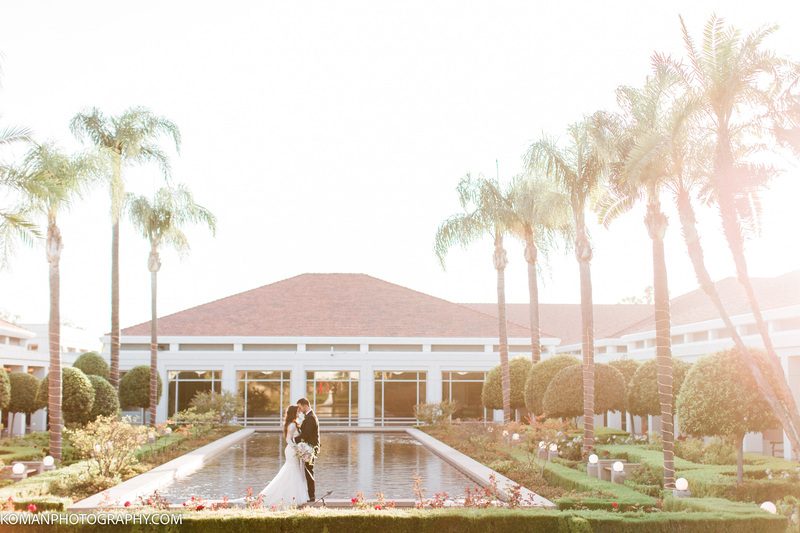 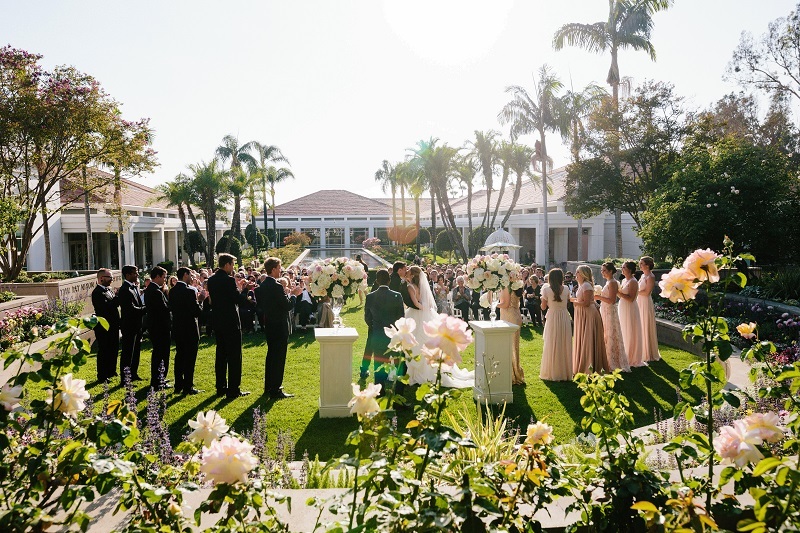 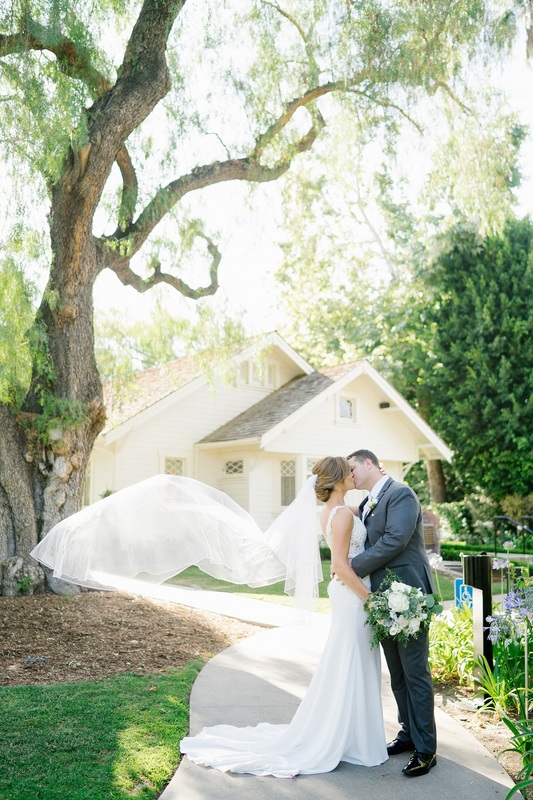 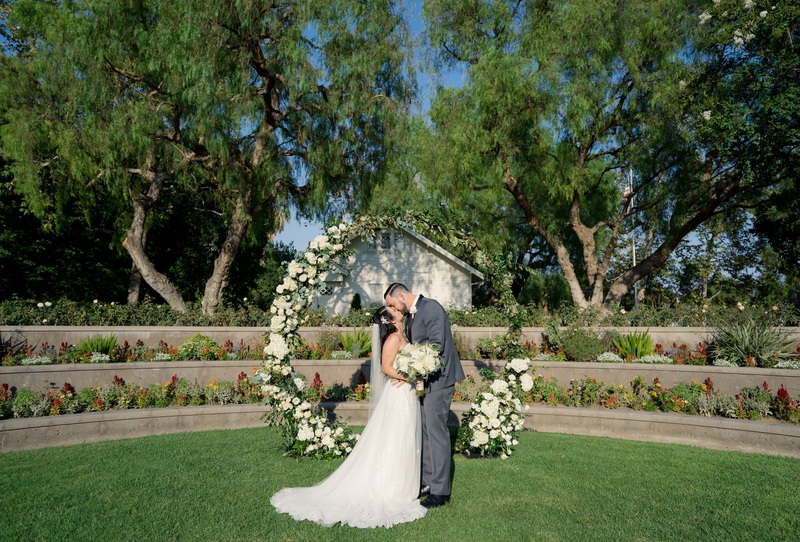 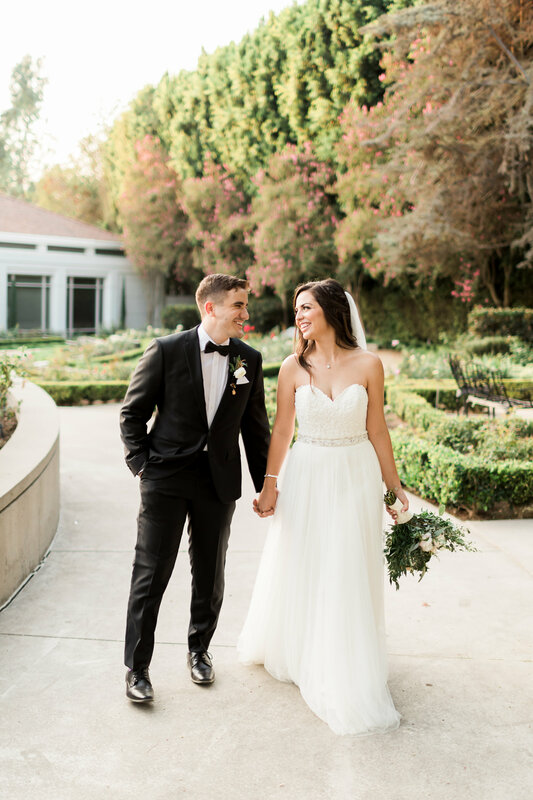 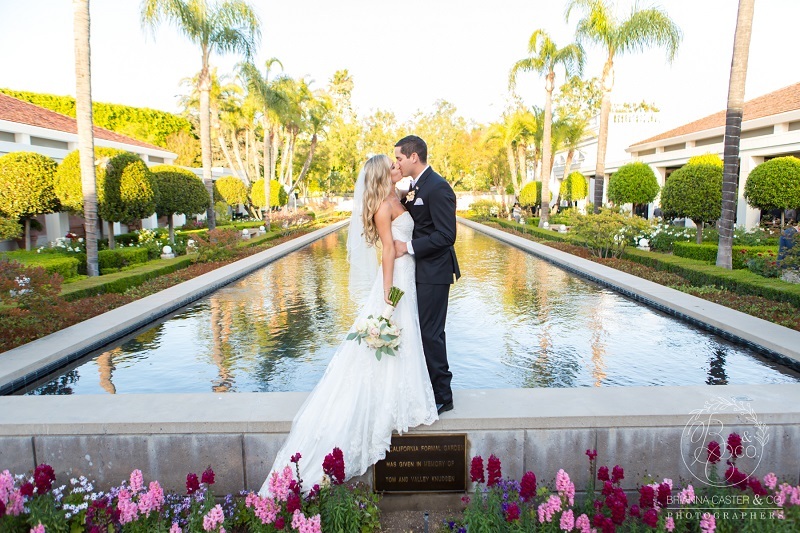 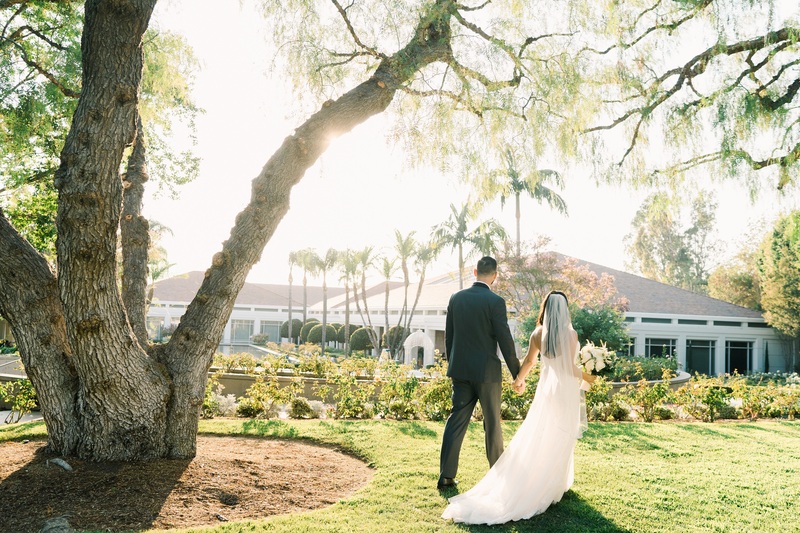 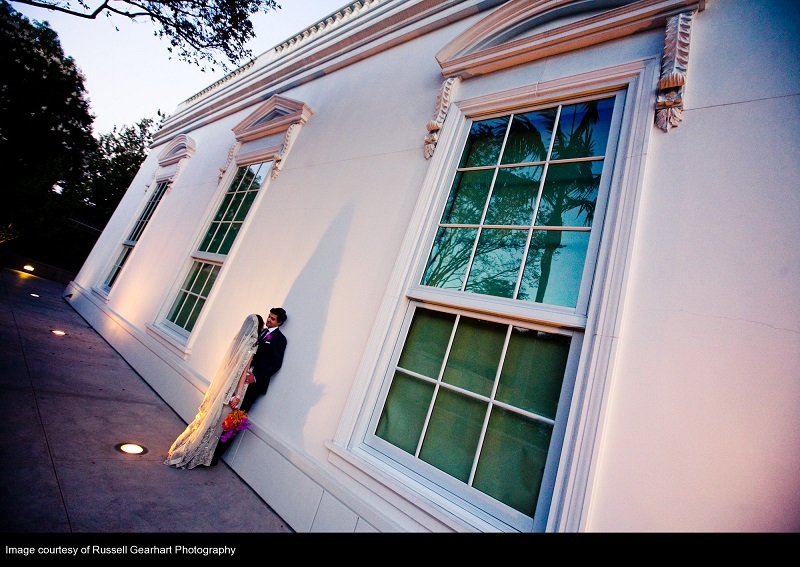 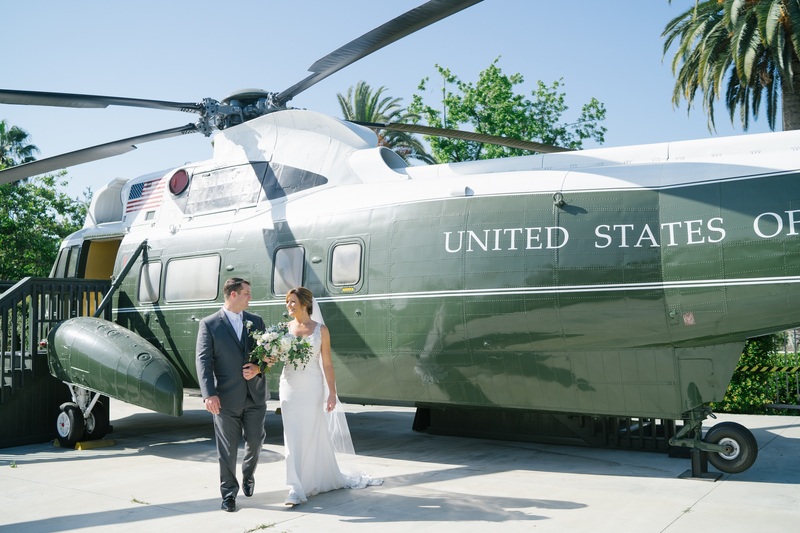 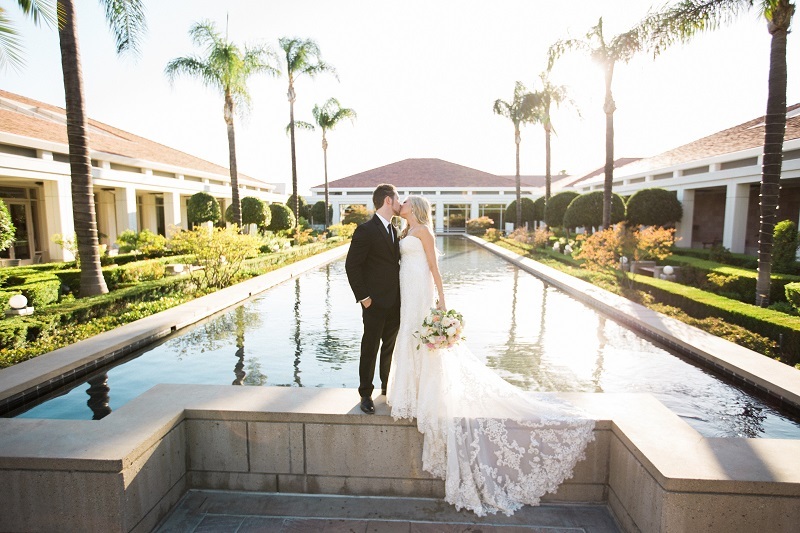 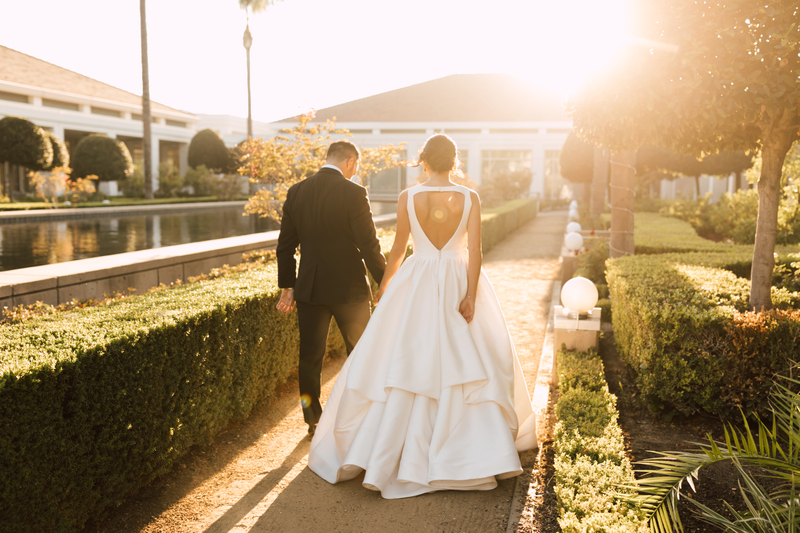 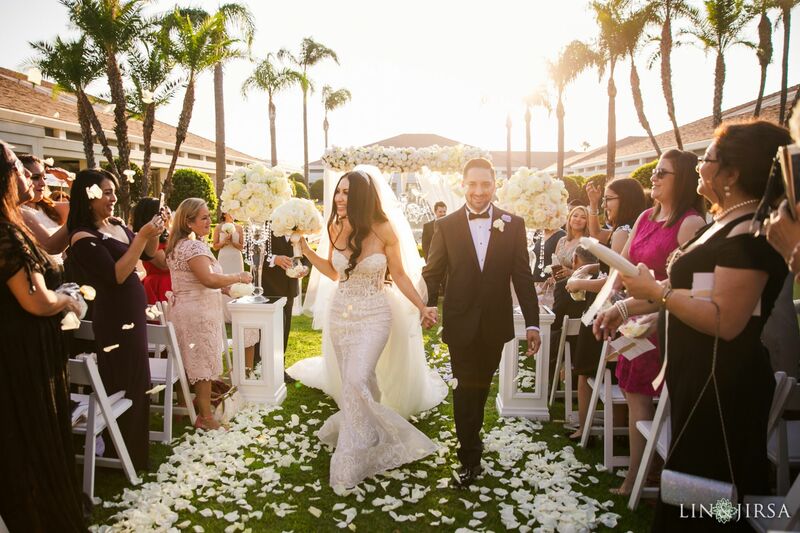 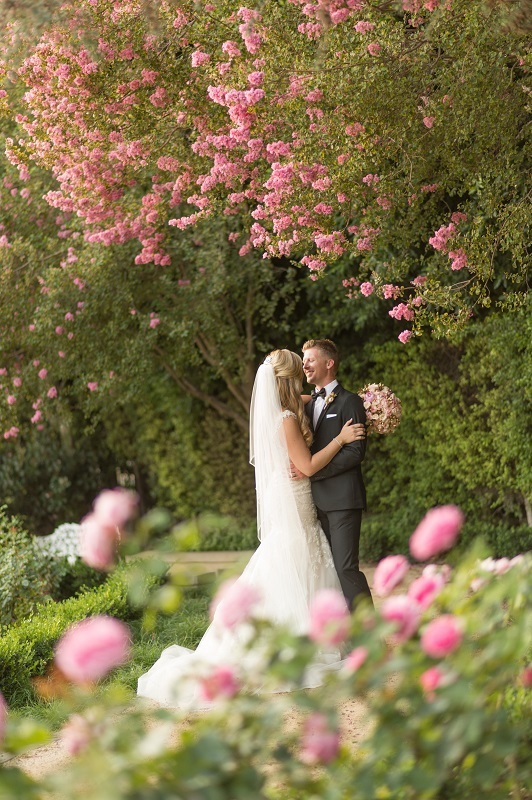 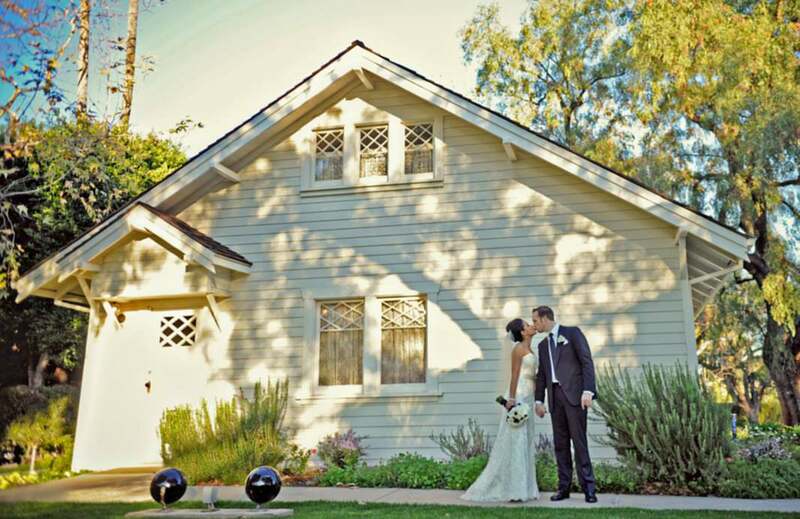 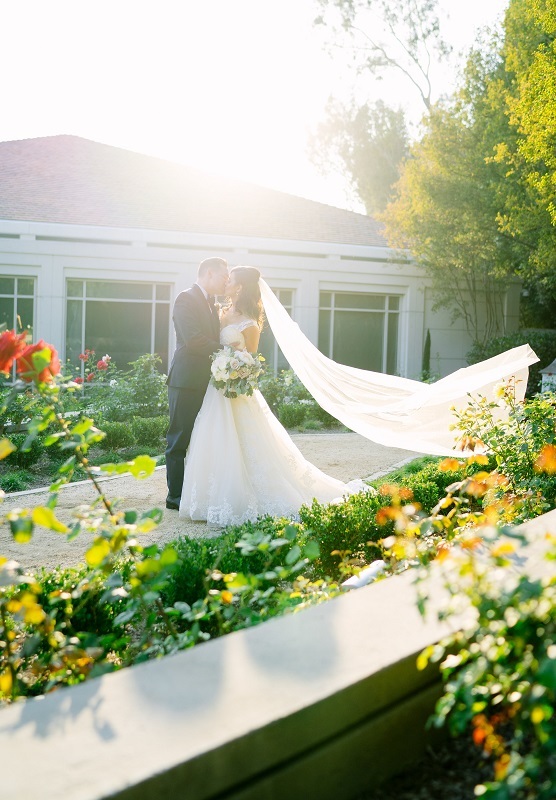 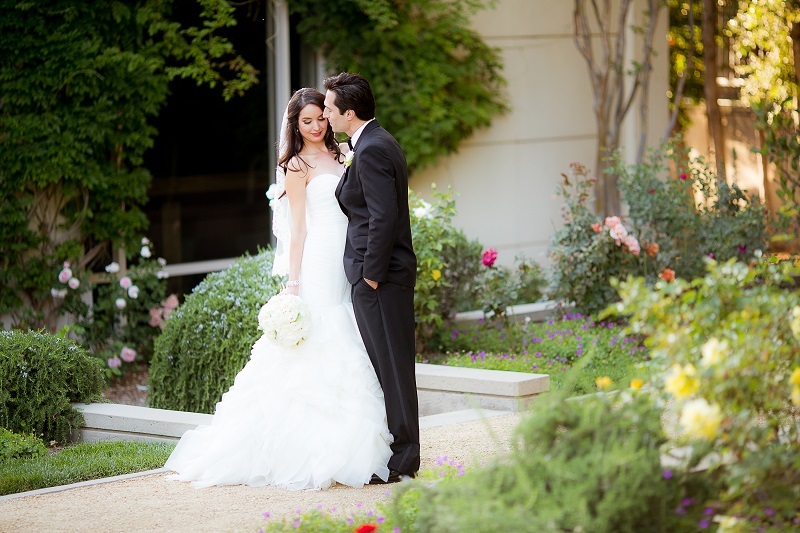 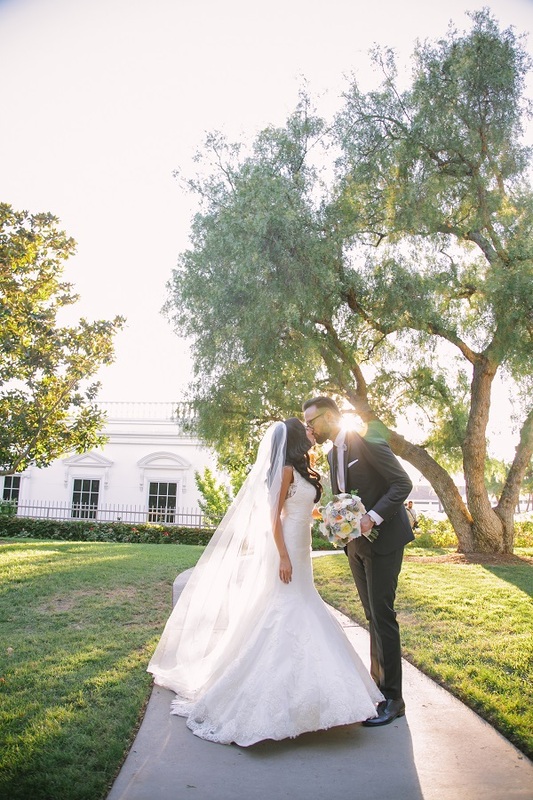 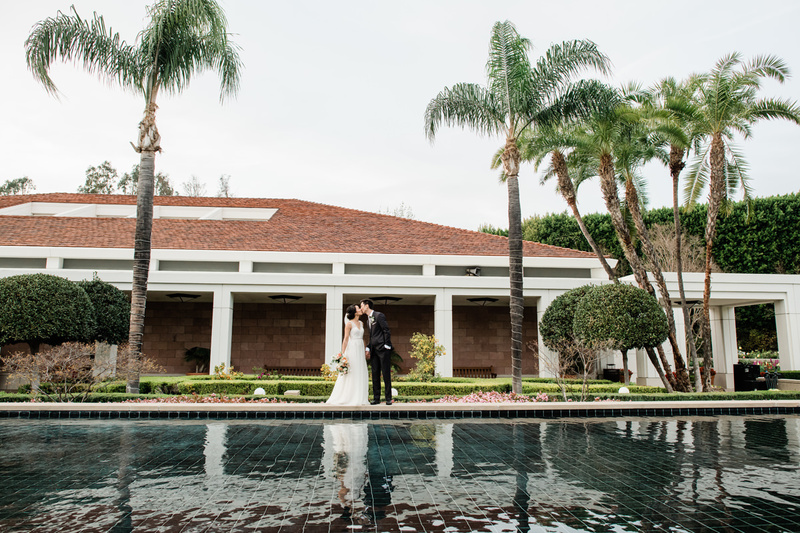 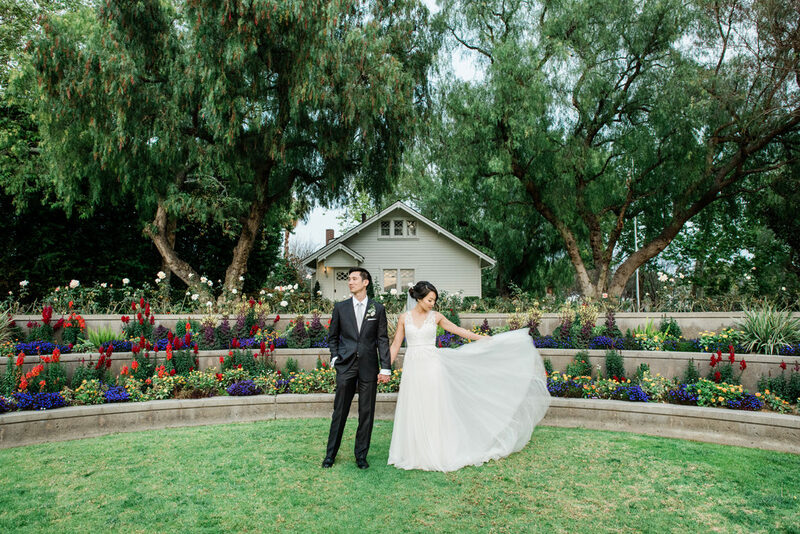 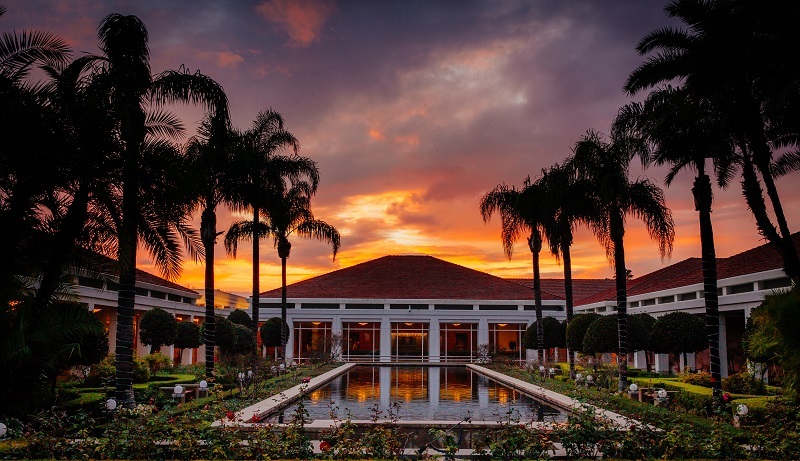 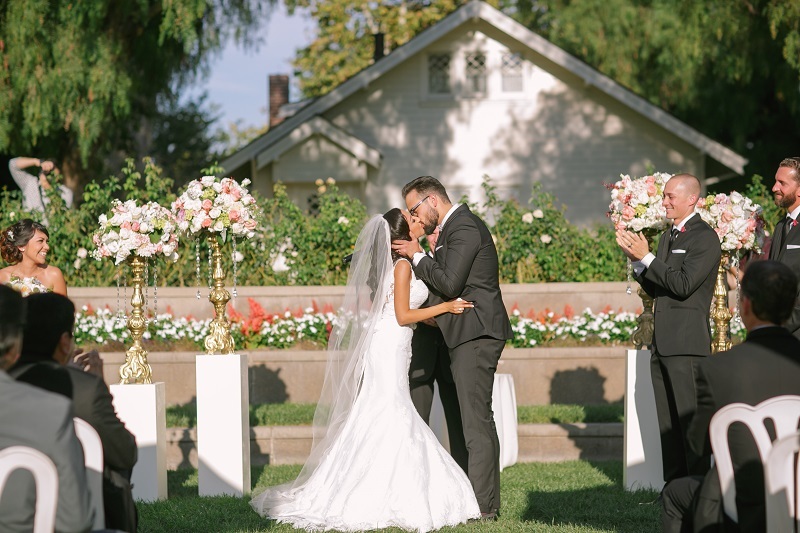 Set on nine lush acres, The Nixon Library is a one-of-a-kind venue that marries timeless elegance, tranquility and a rich history, to create the perfect setting for your special day. 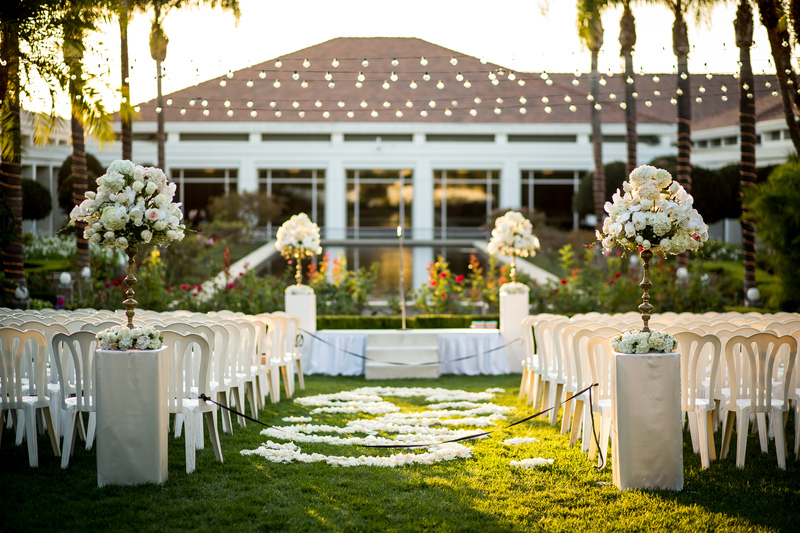 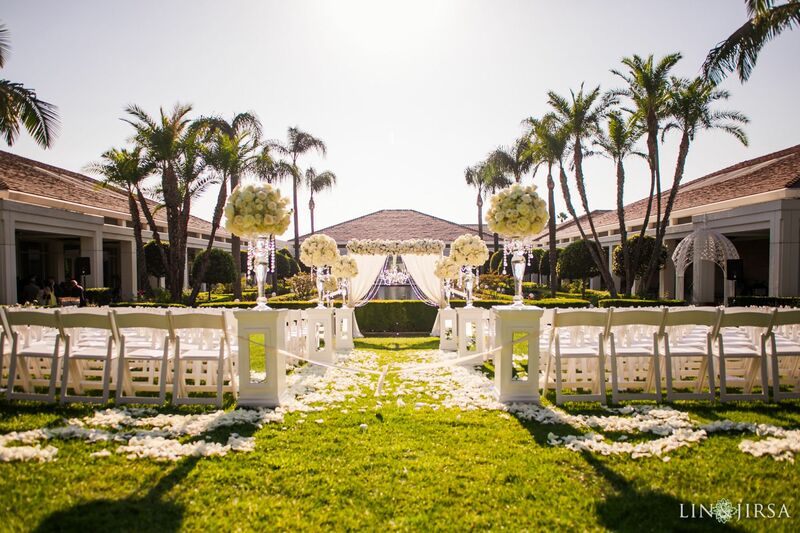 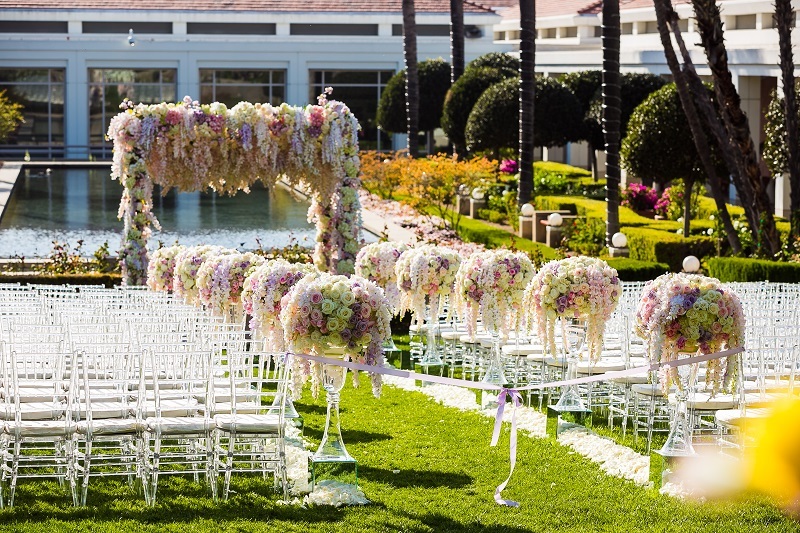 Beautiful and meticulously landscaped, the First Lady’s Rose Garden is the perfect setting for your special “I Do”. 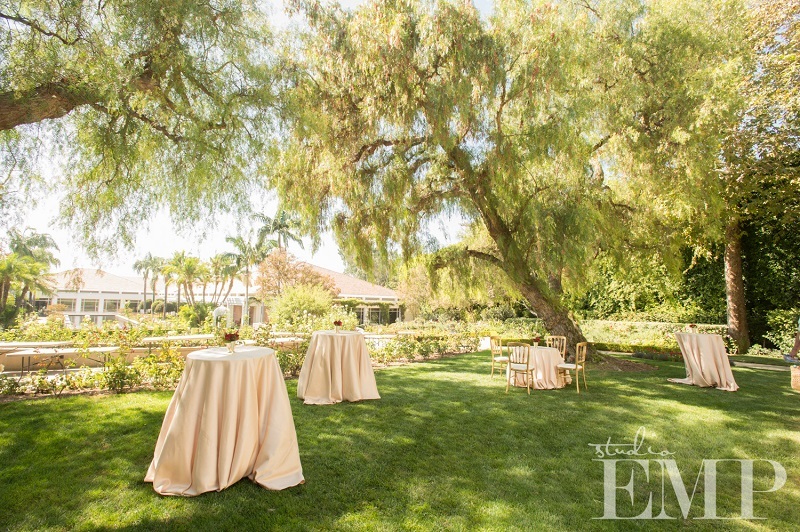 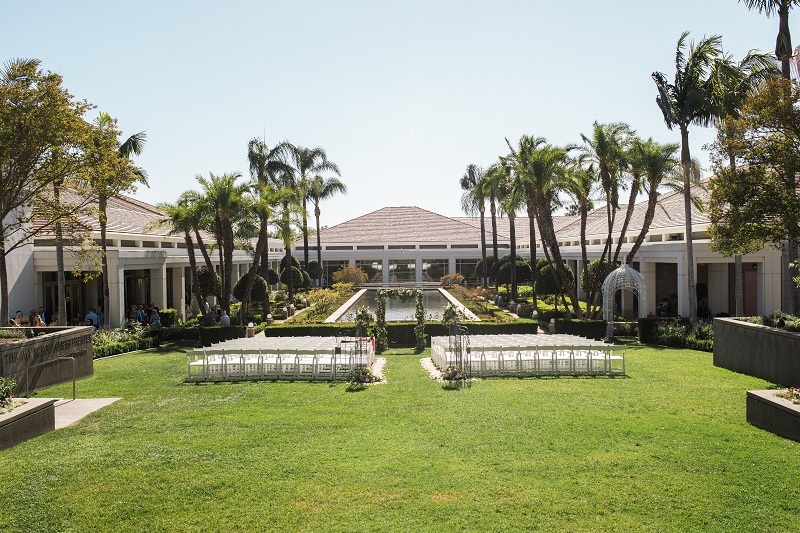 Whether you imagine a small, intimate affair or a large, lavish event, the Nixon Library’s expansive lawn can accommodate up to 400 guests. 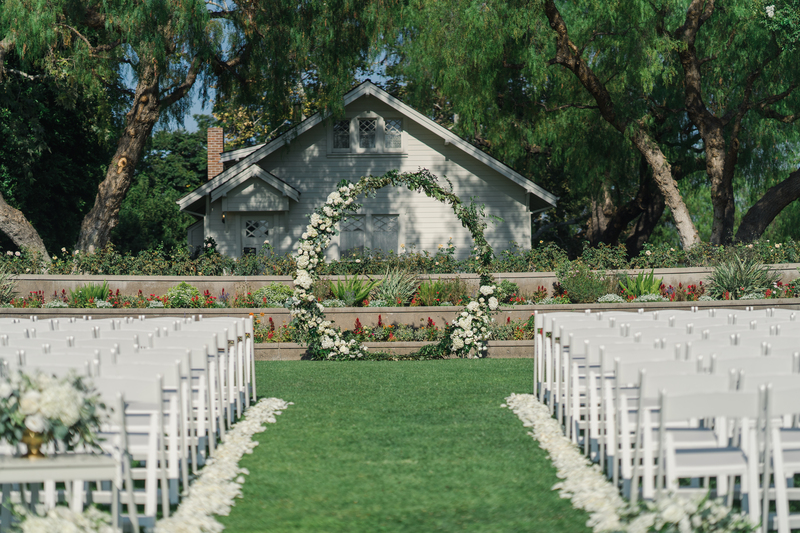 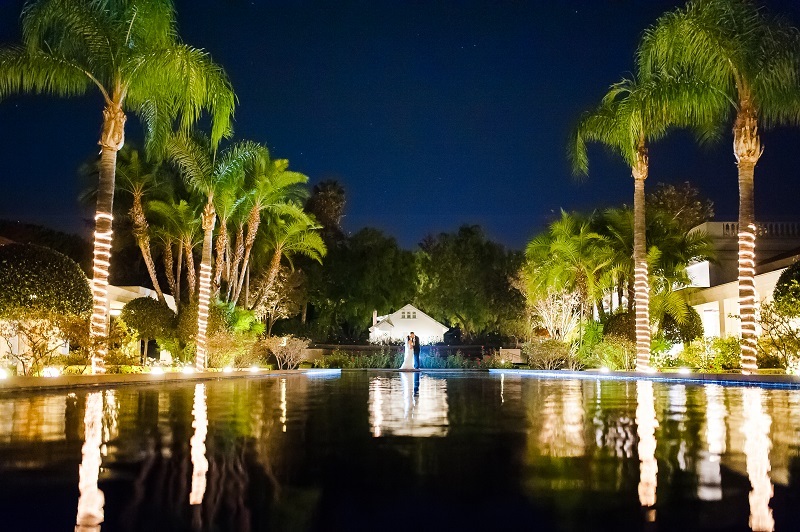 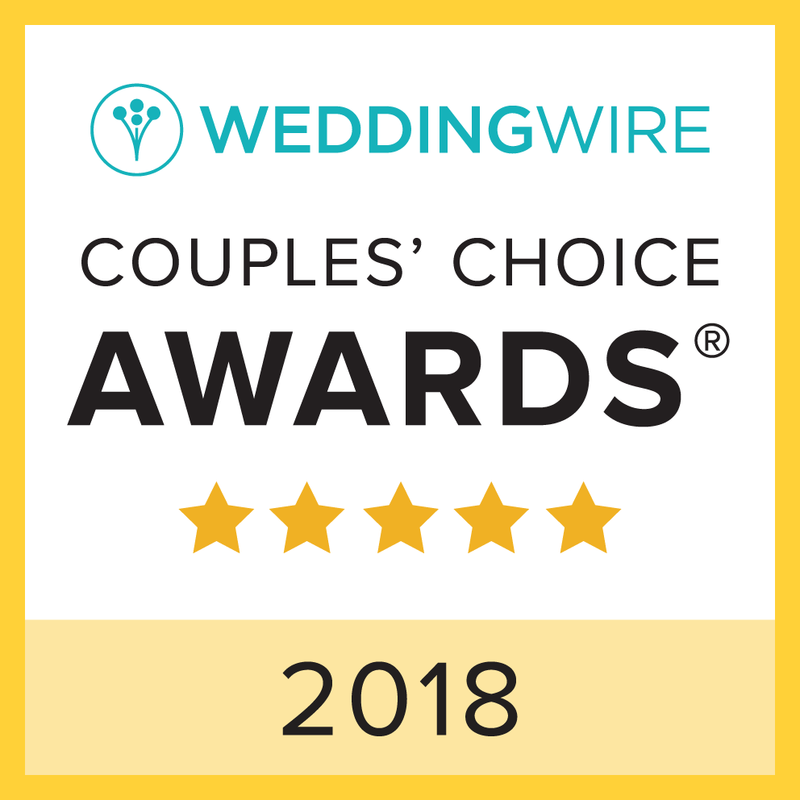 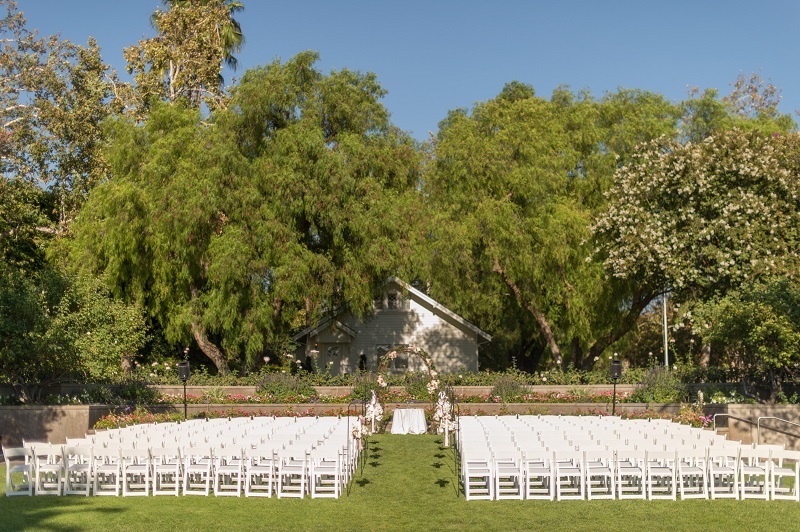 Choose our tranquil, extended reflecting pool, or quaint Birthplace cottage, surrounded by large pepper trees for your ceremony backdrop. 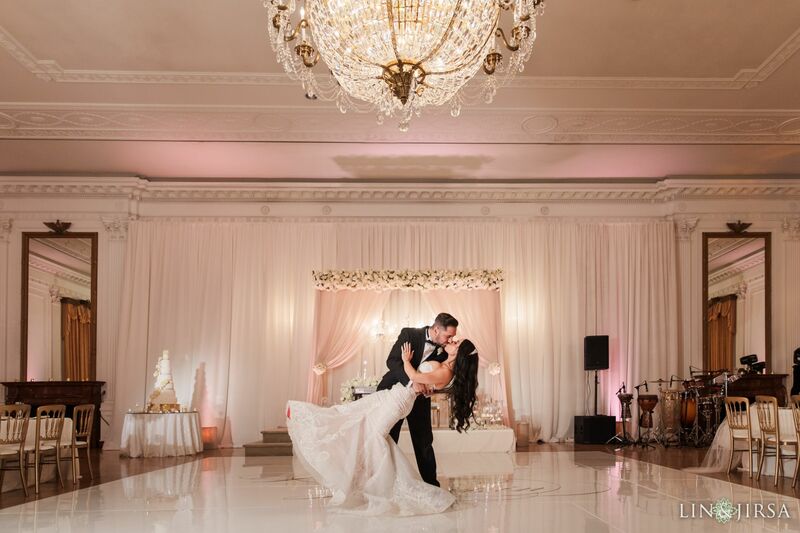 We’re here to help make every detail truly memorable. 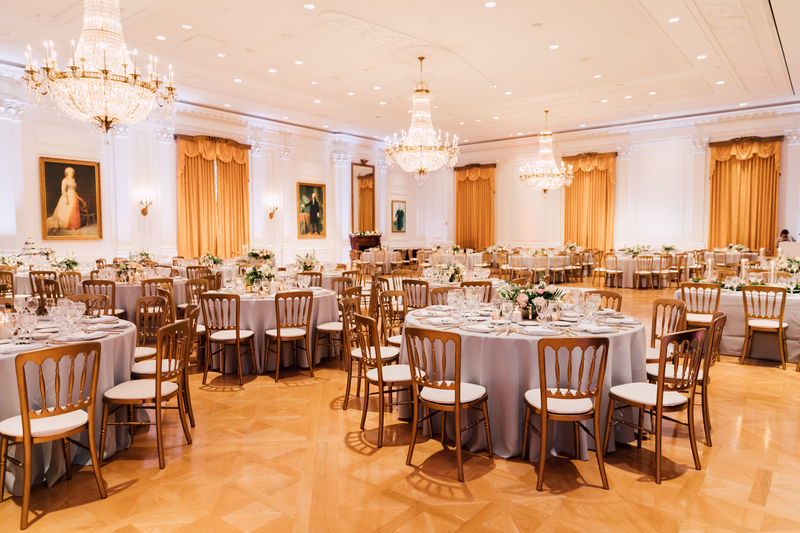 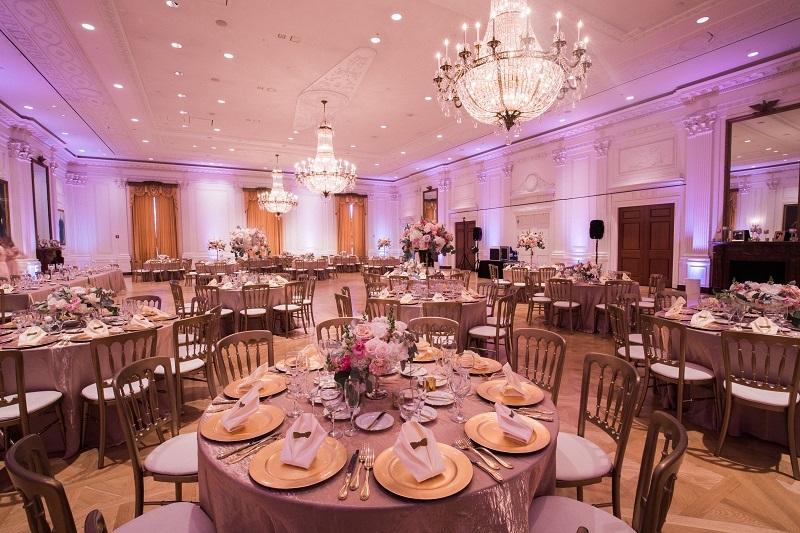 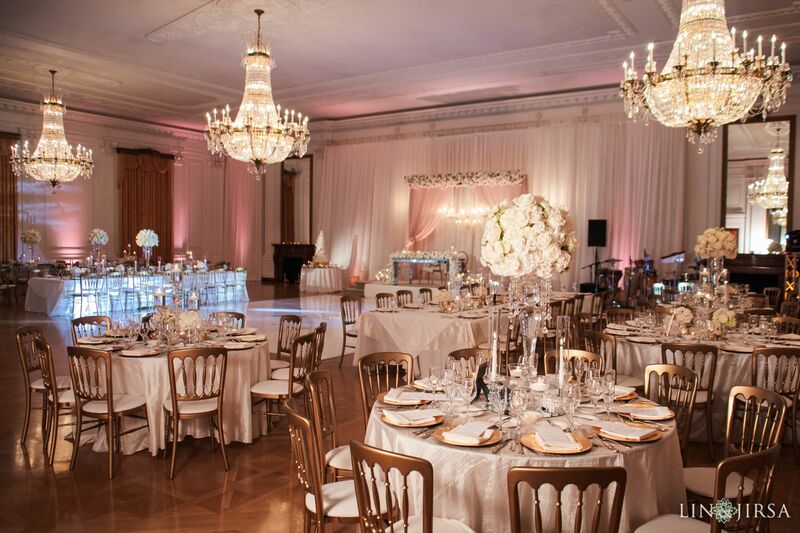 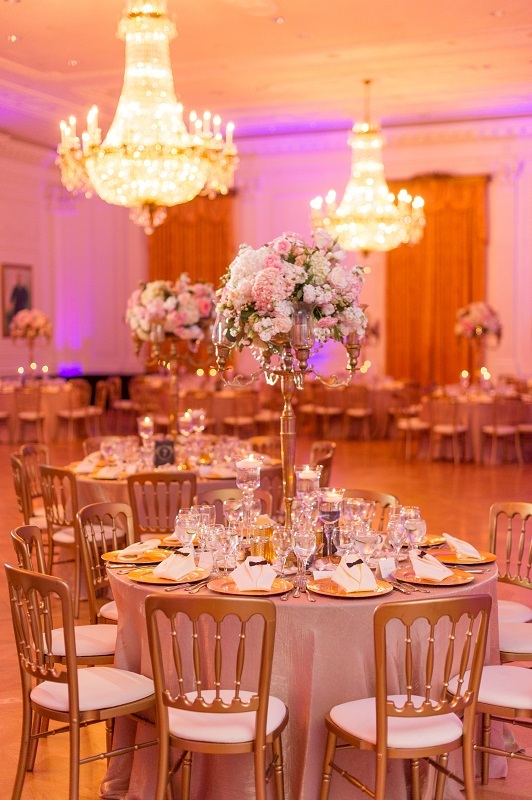 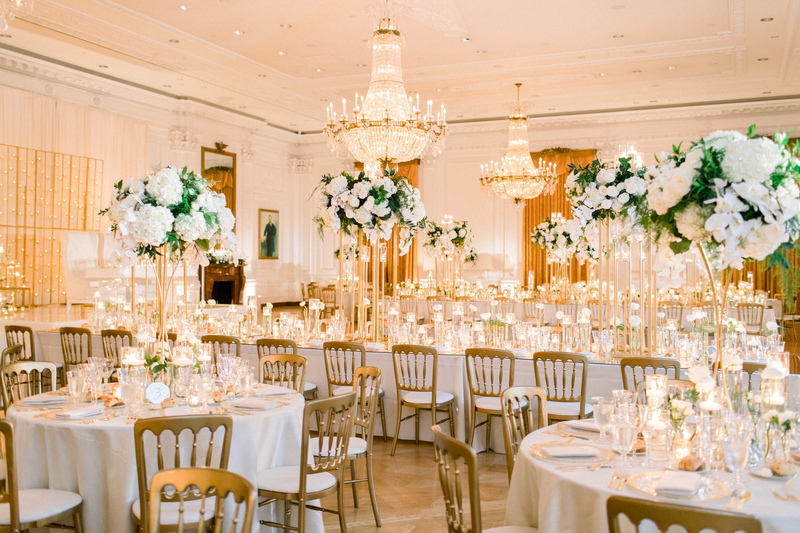 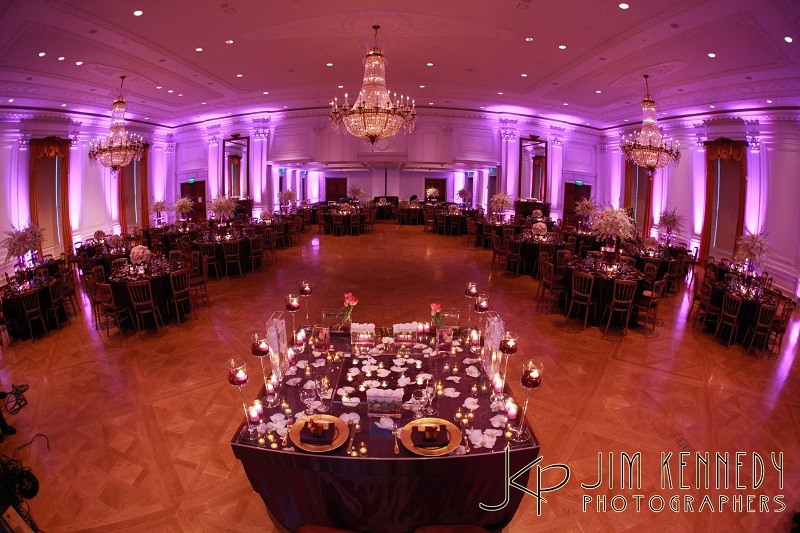 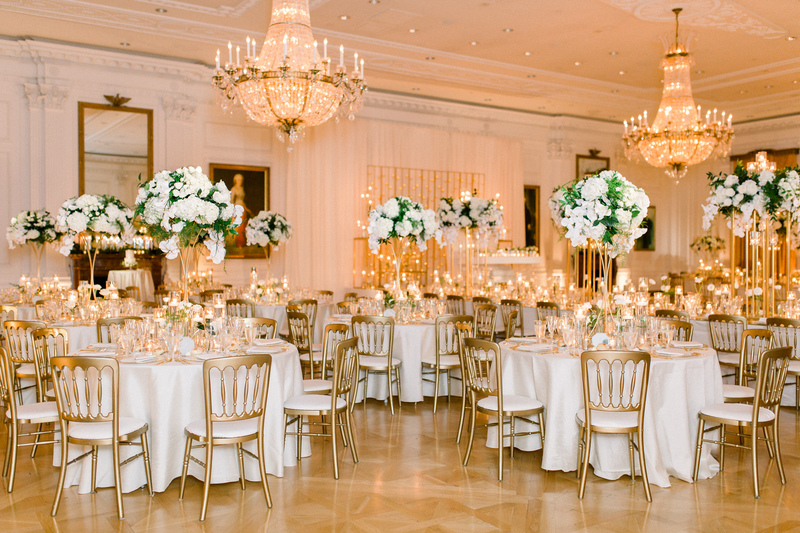 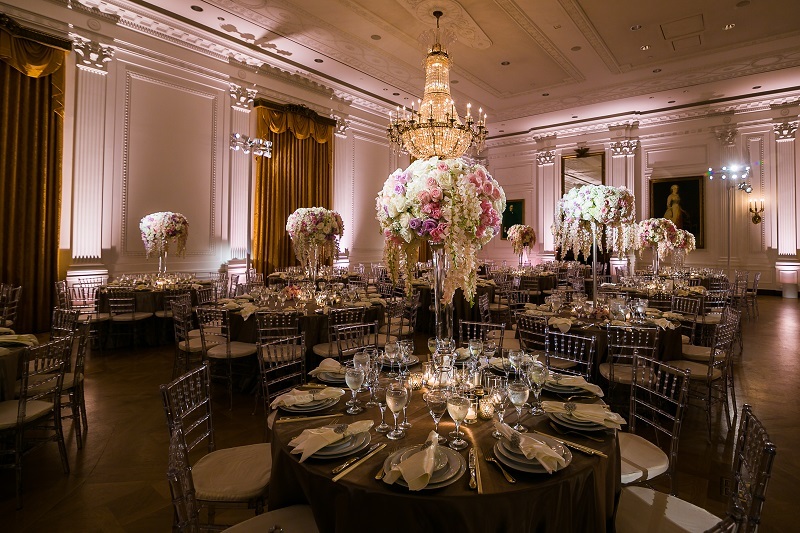 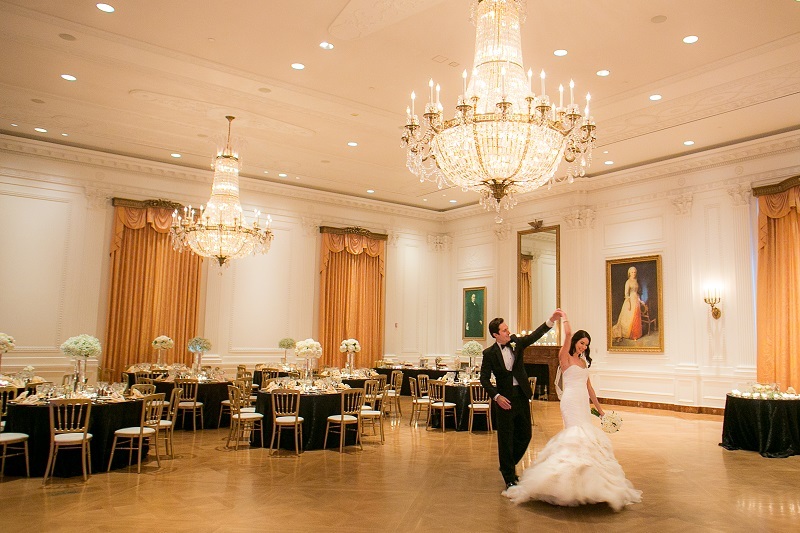 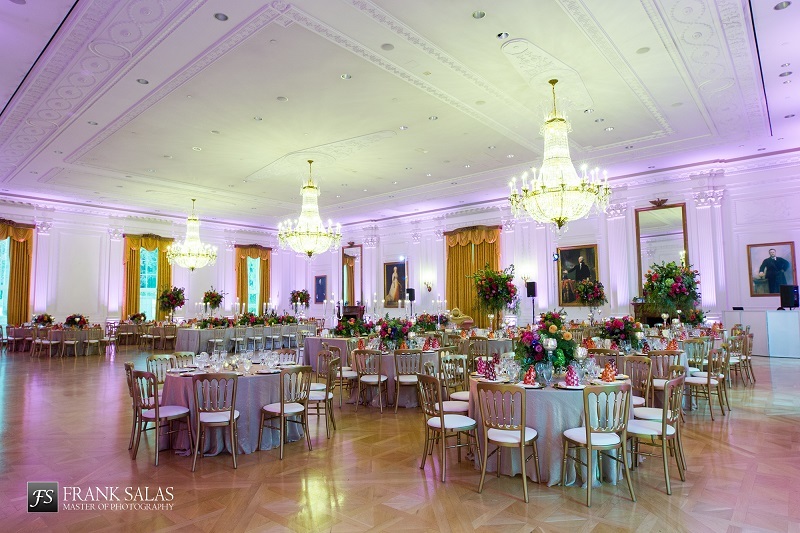 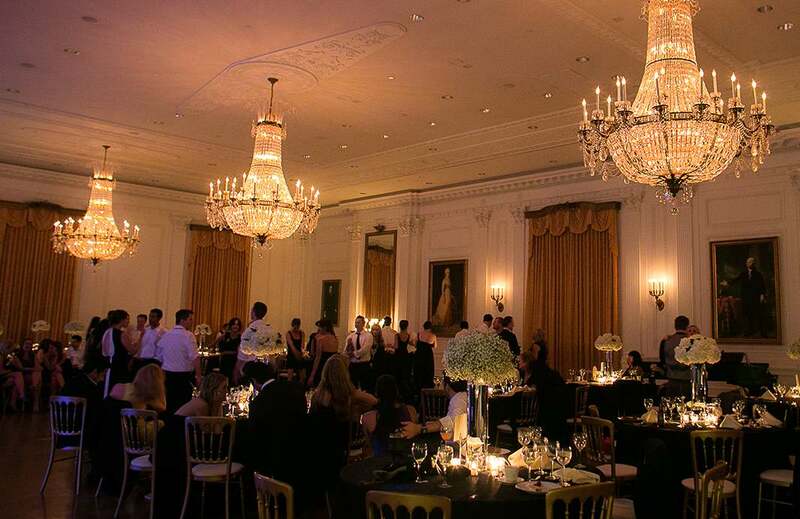 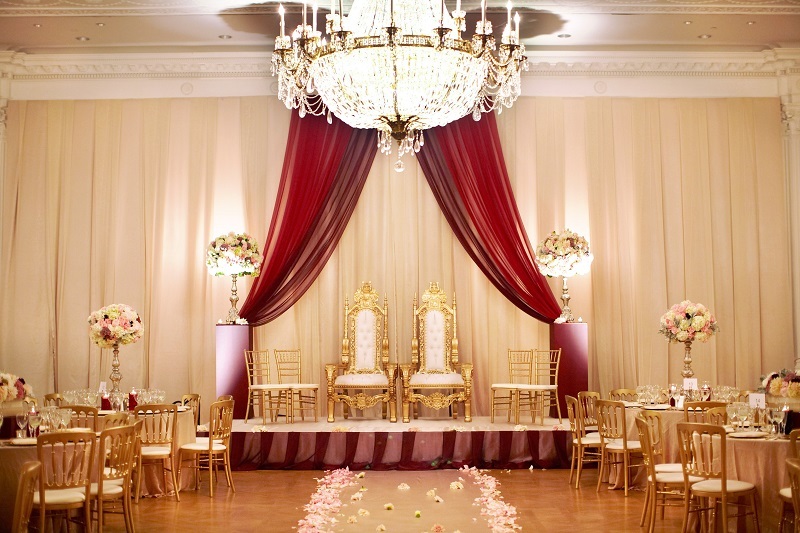 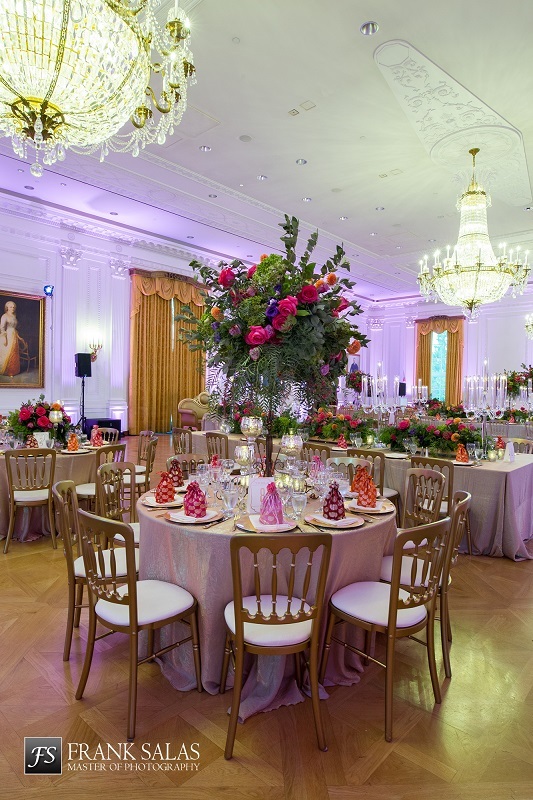 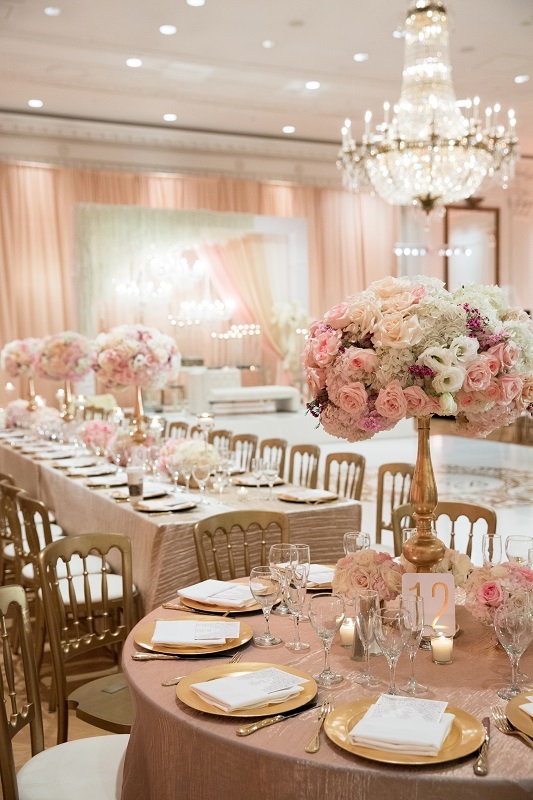 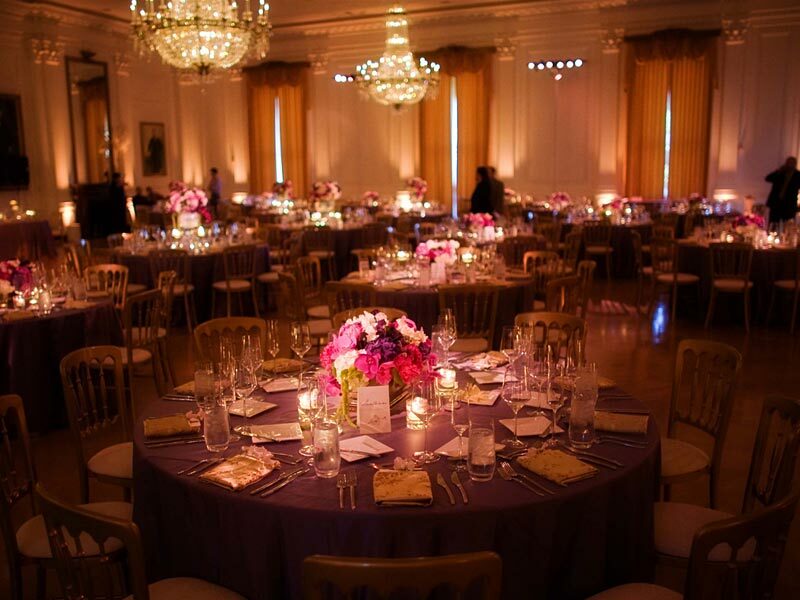 Host a stunning reception in the only replica of the White House East Room. 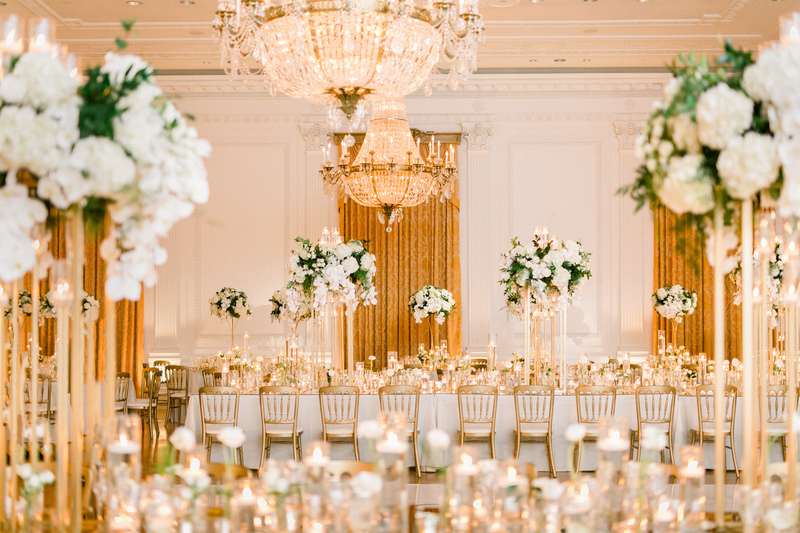 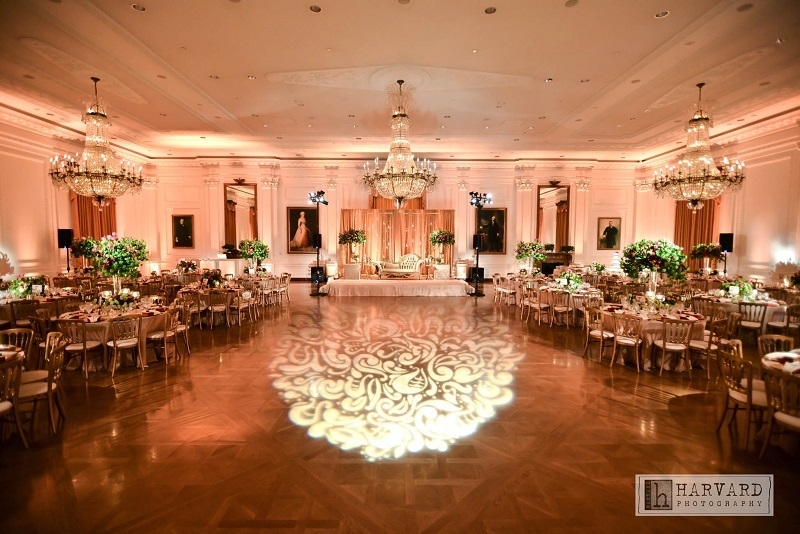 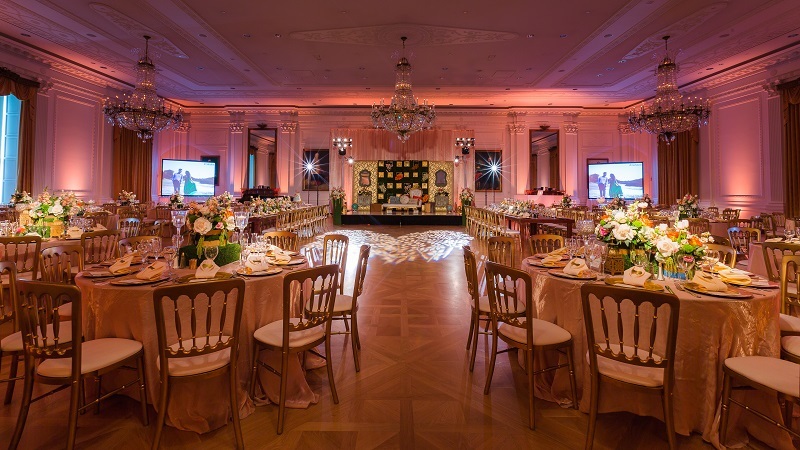 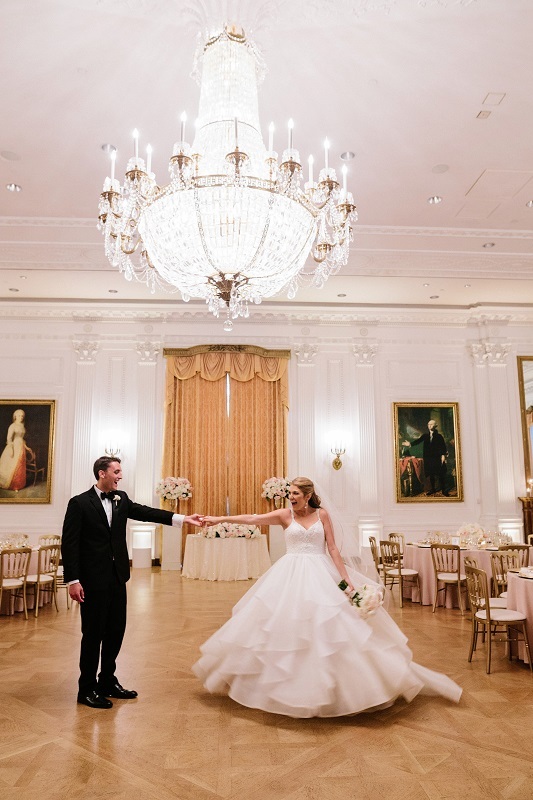 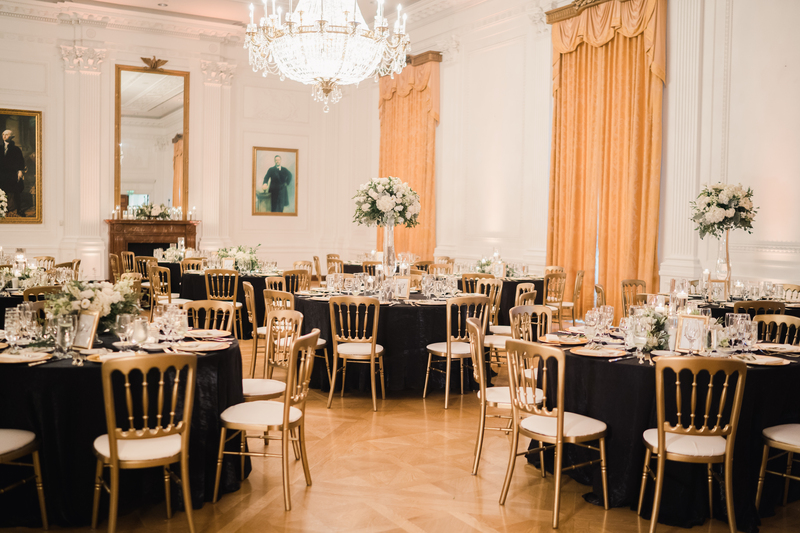 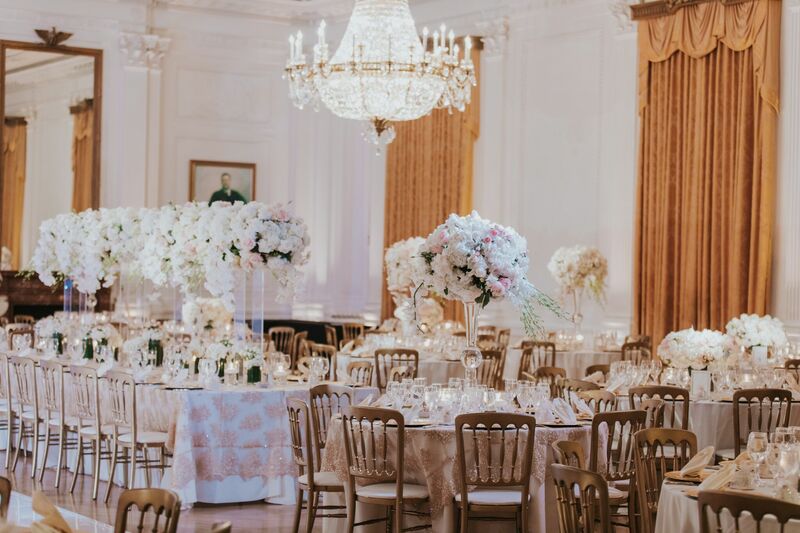 The East Room features three magnificent crystal chandeliers, golden Italian silk draperies, imported marble fireplaces, and a gorgeous wooden terrazzo floor for dancing the night away. 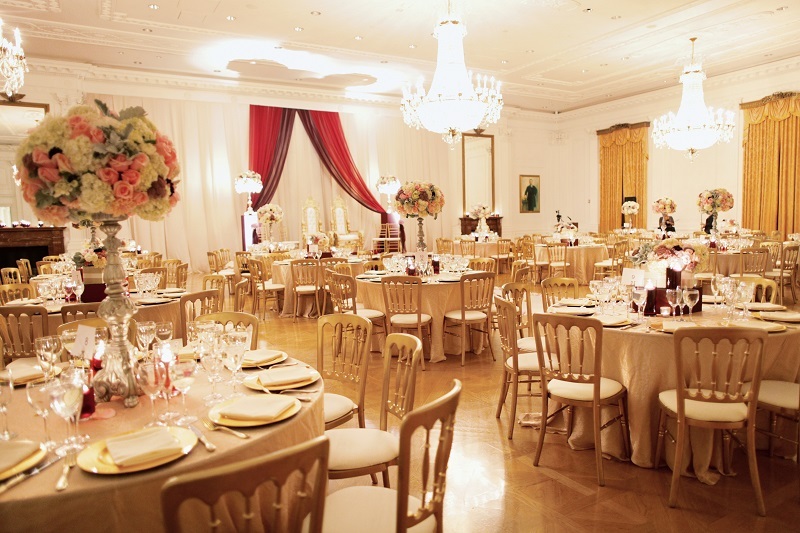 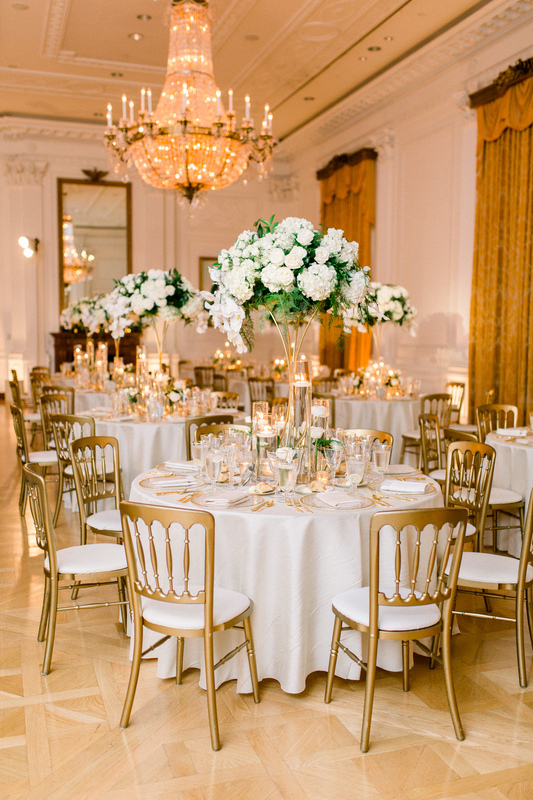 Beautiful gold Versailles chairs, banquet tables and cocktail tables come included. 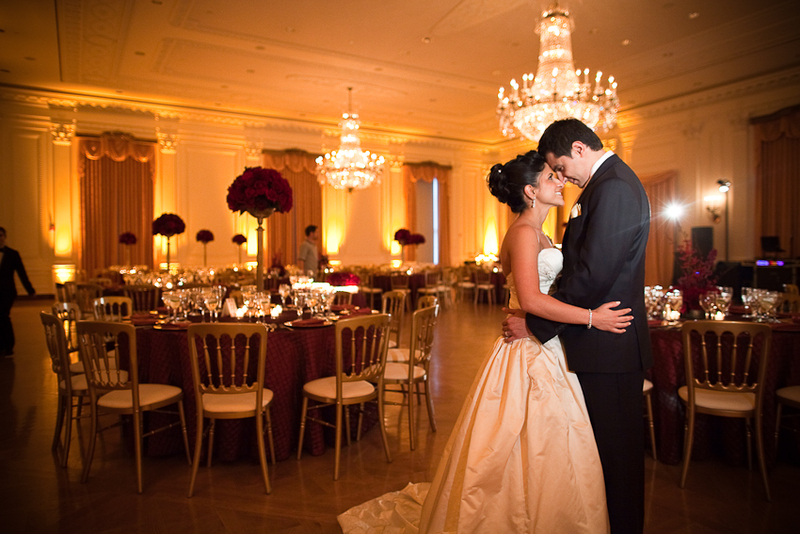 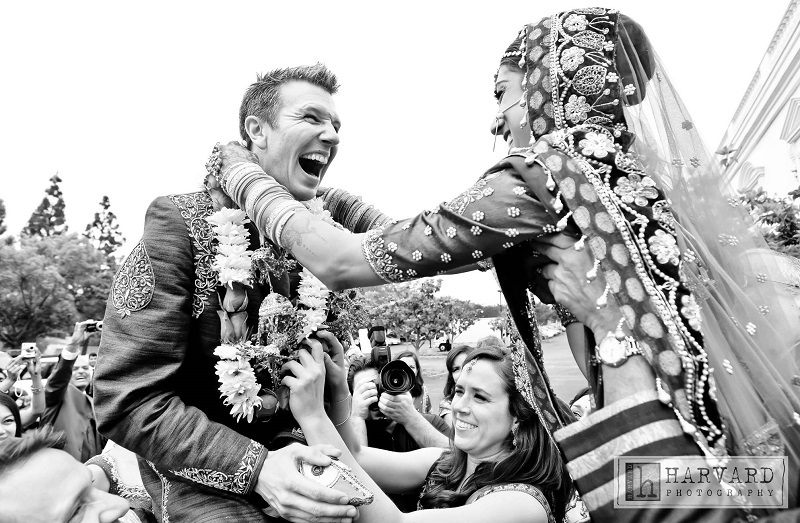 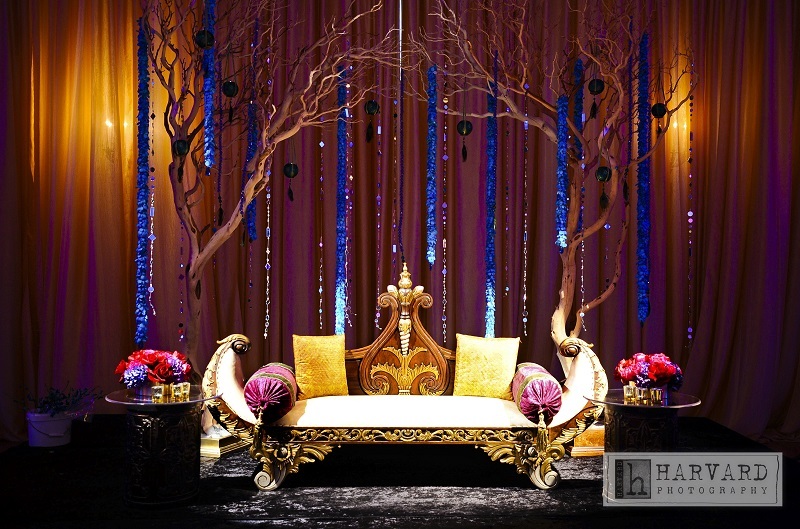 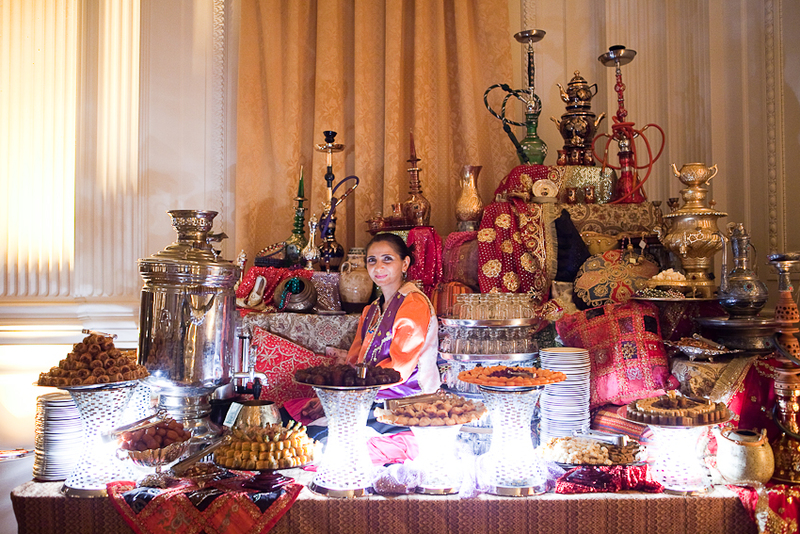 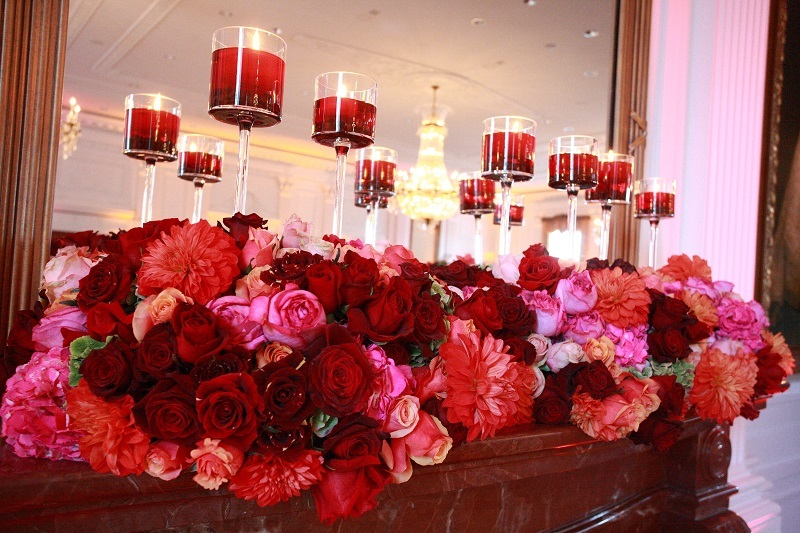 And with space to accommodate up to 500 guests, we can make it the day you’ve always dreamed of. 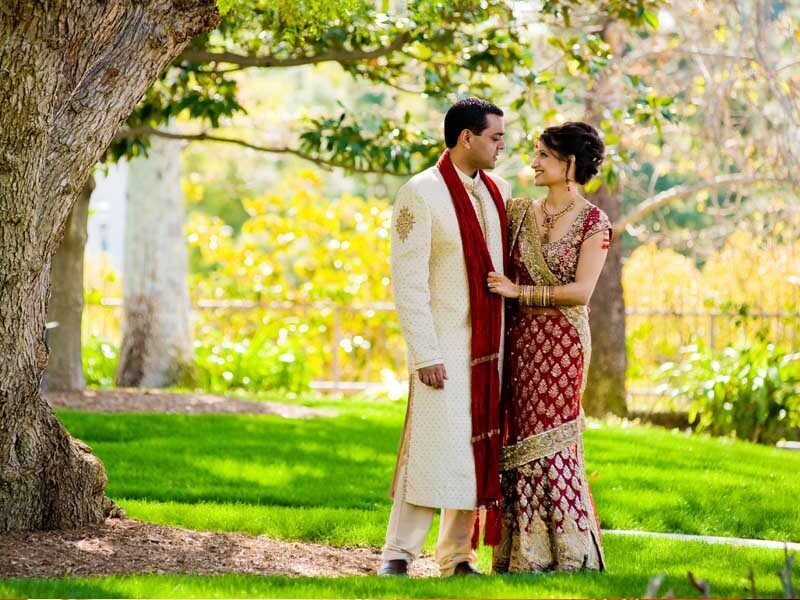 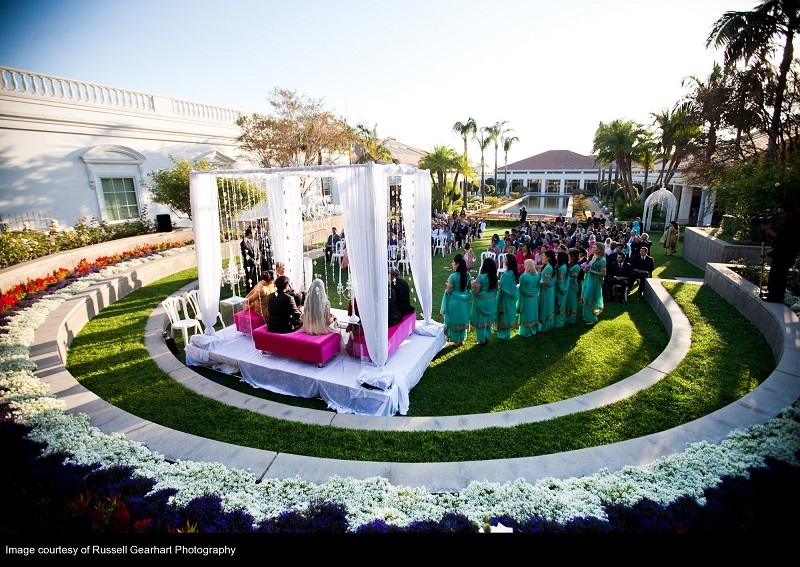 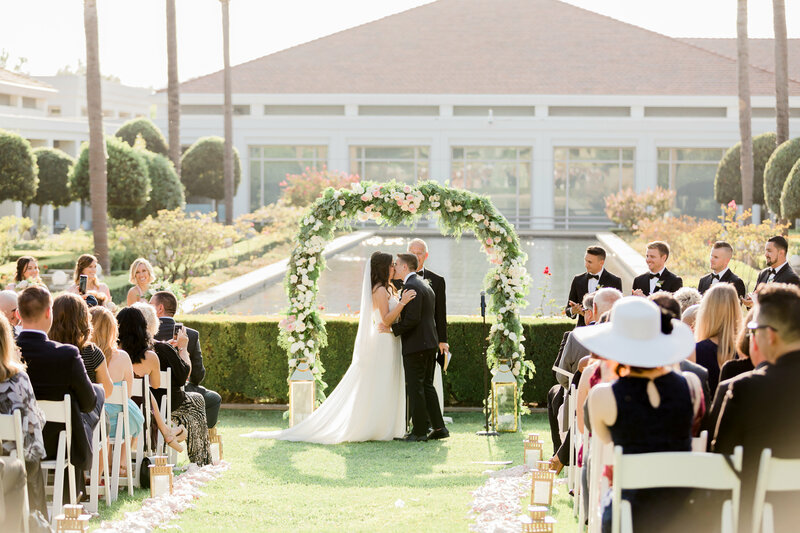 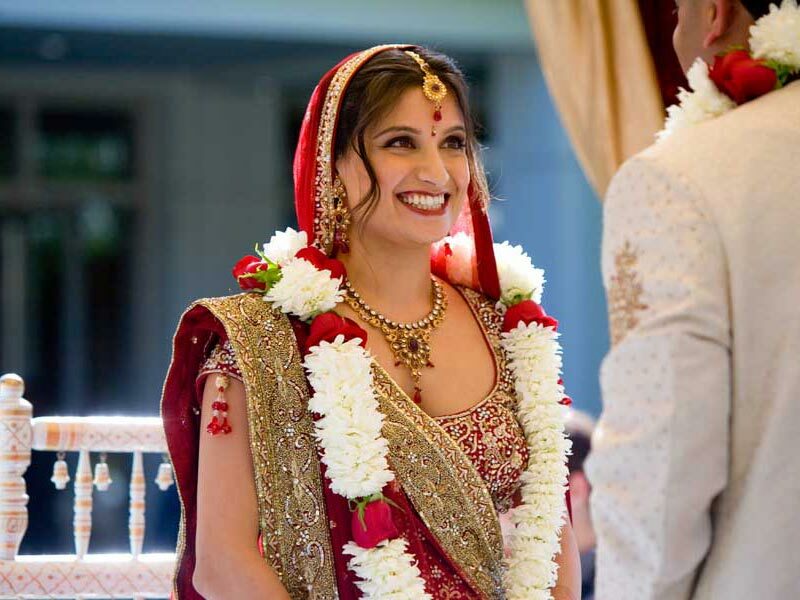 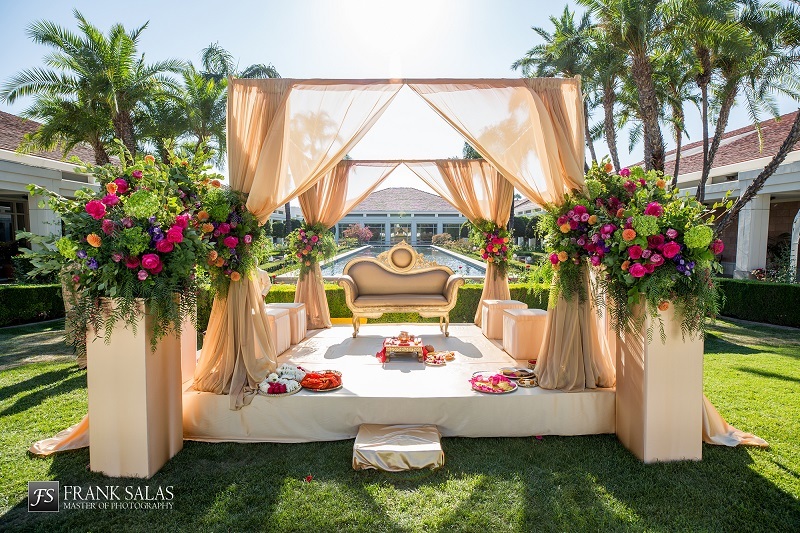 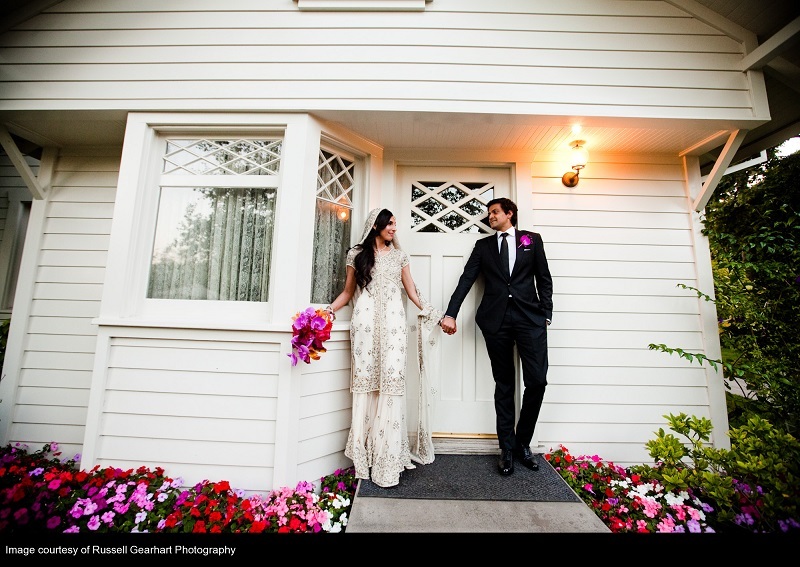 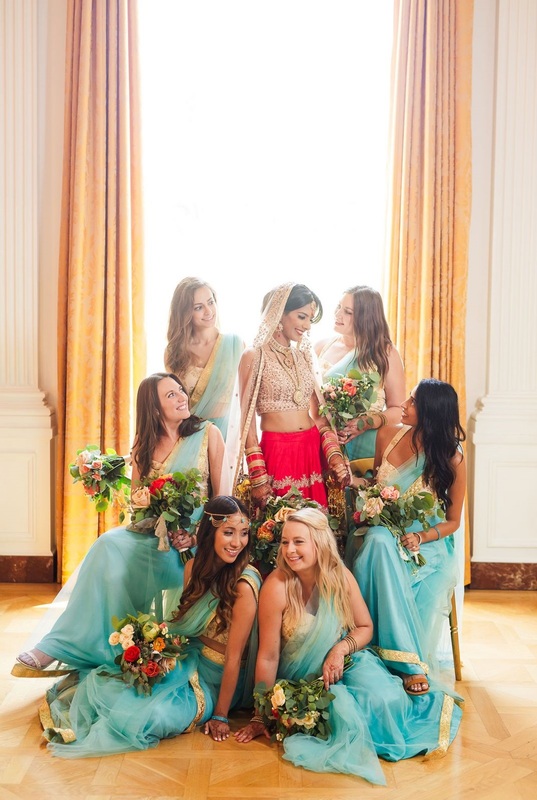 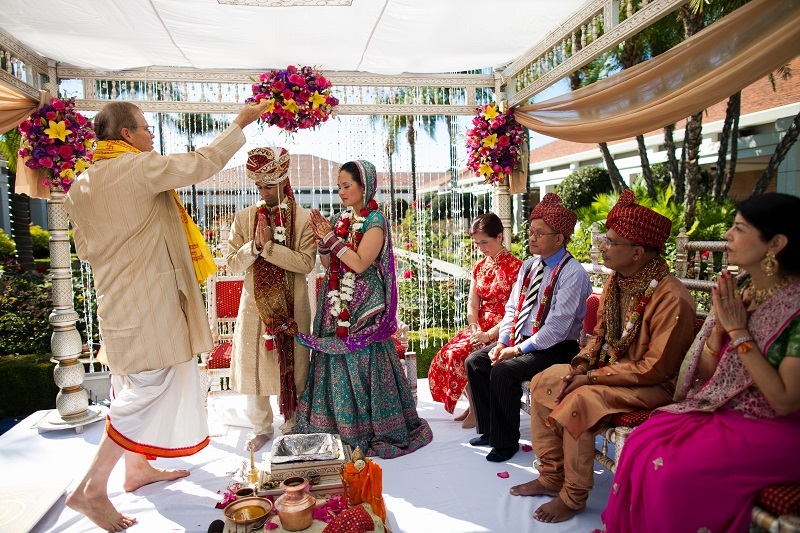 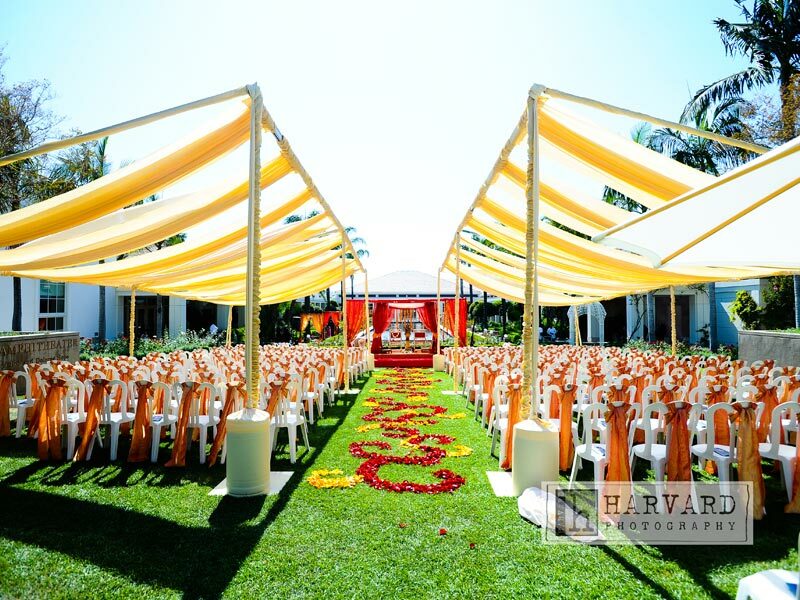 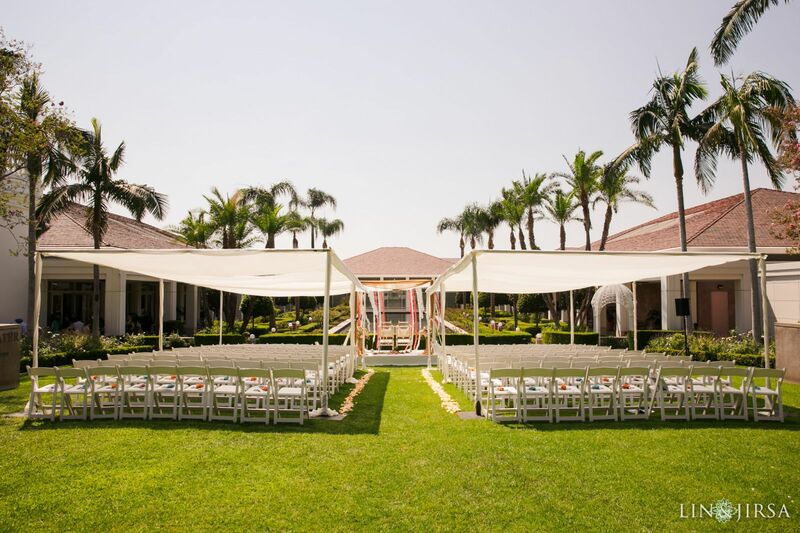 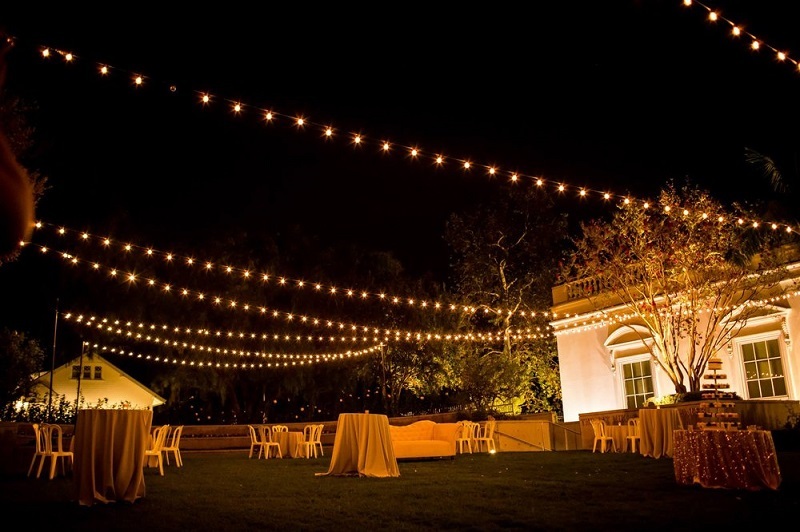 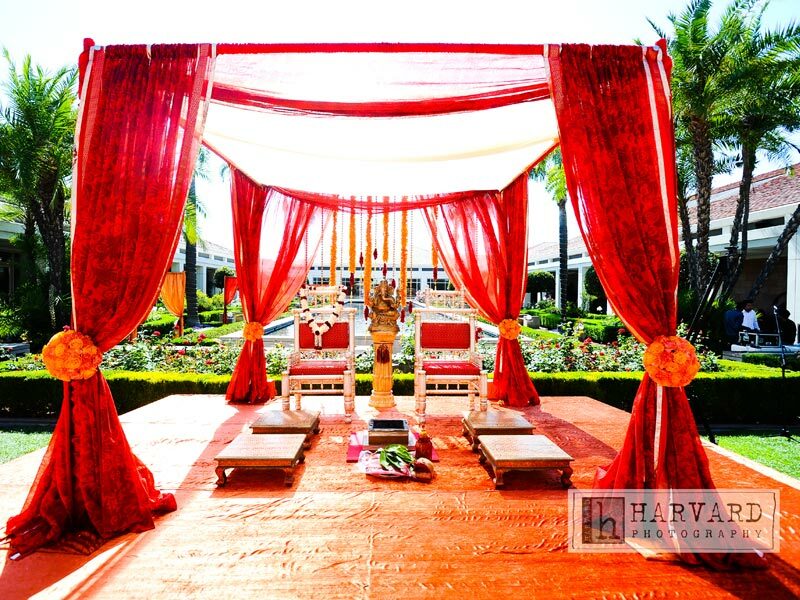 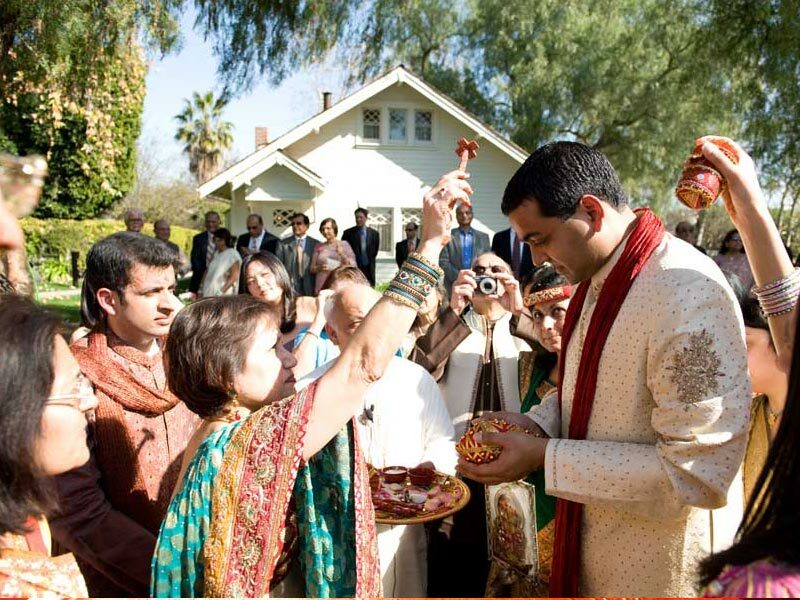 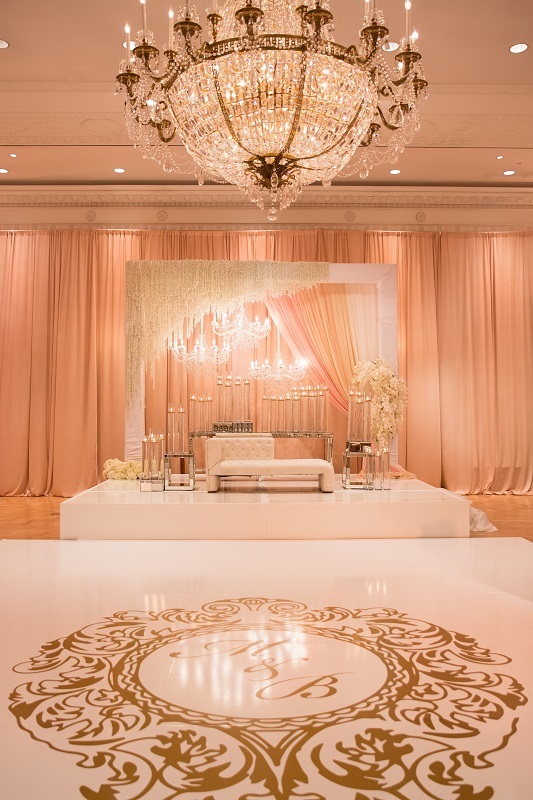 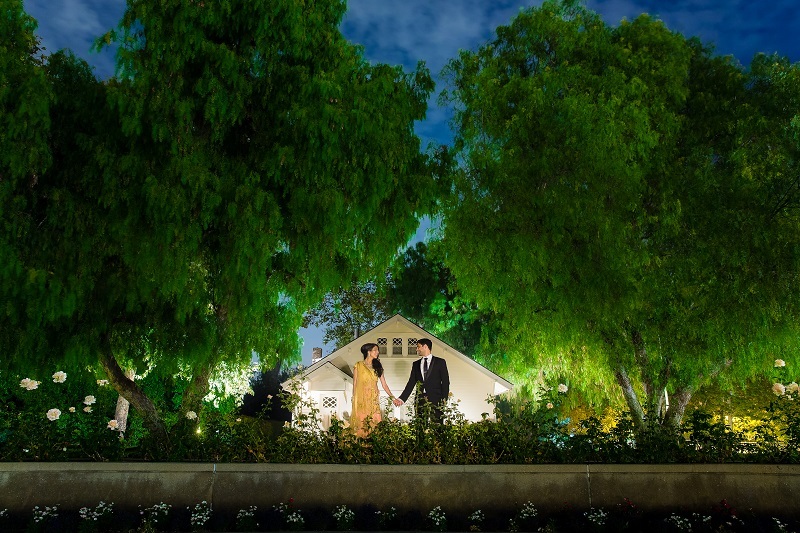 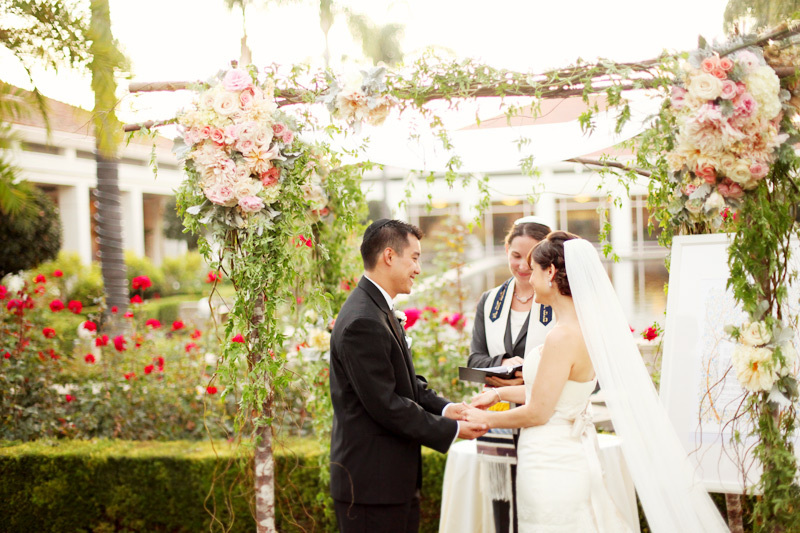 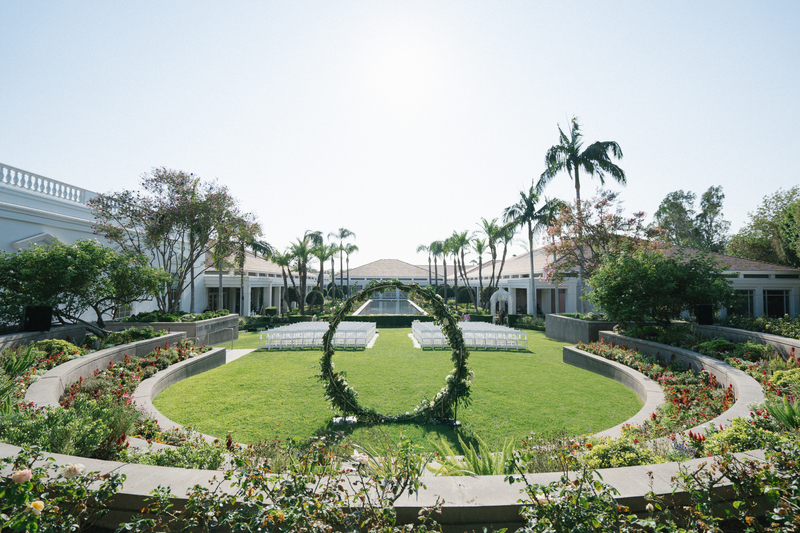 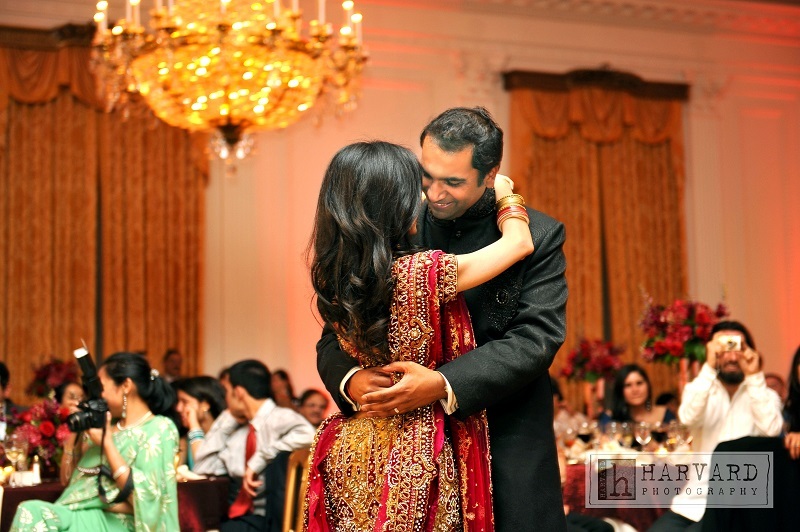 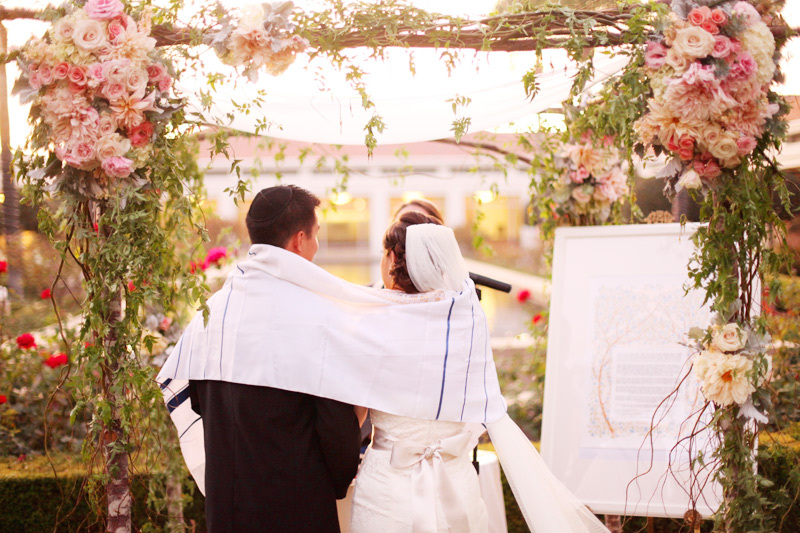 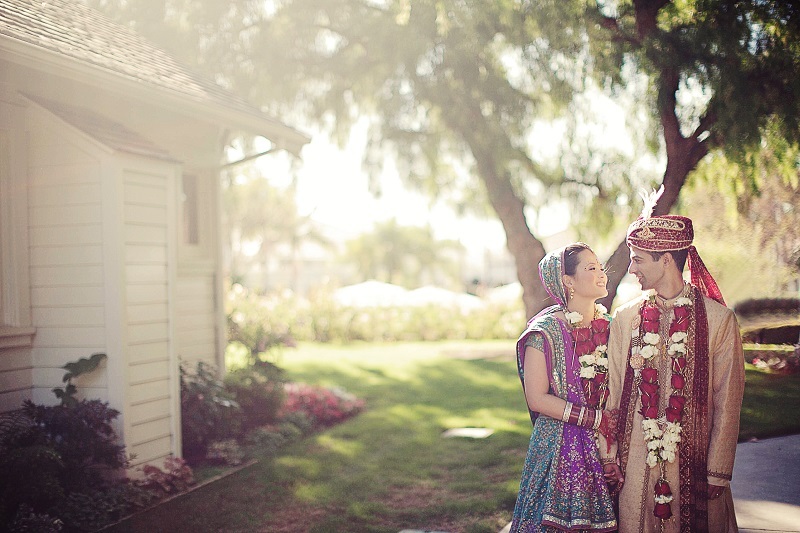 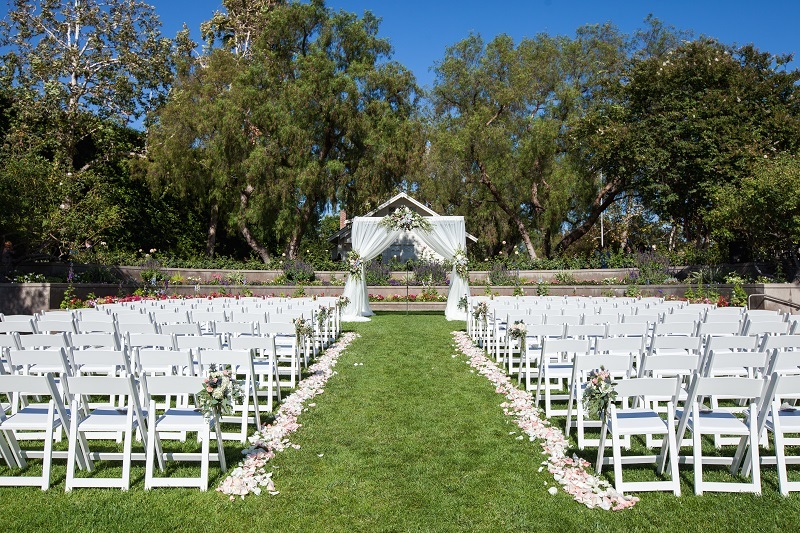 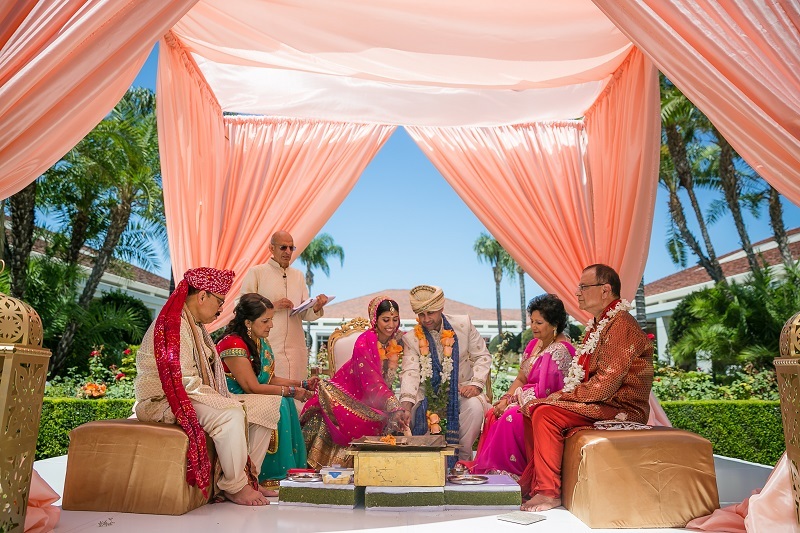 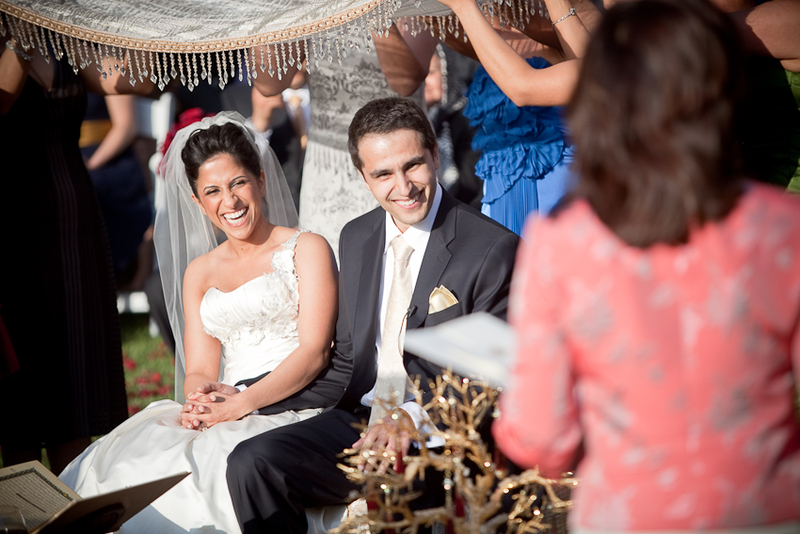 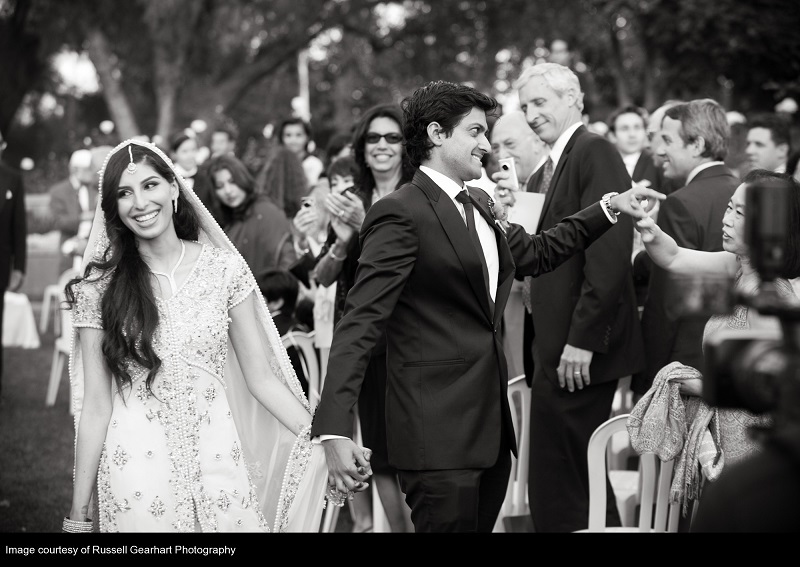 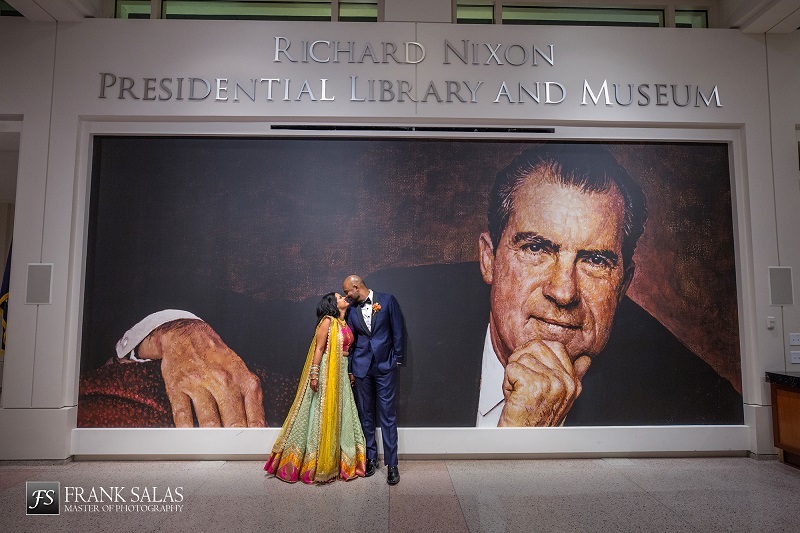 Whether you’re getting married under a Chuppah or a Mandap, the Nixon Library’s versatile grounds can be customized to honor all of your traditions. 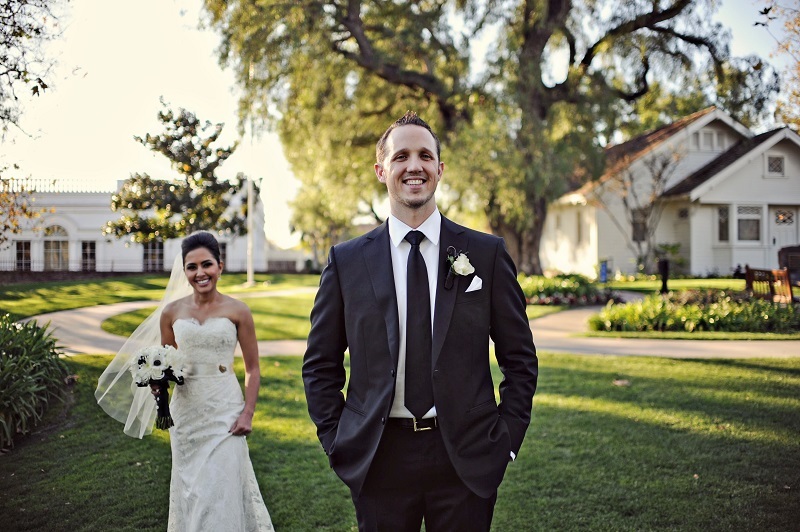 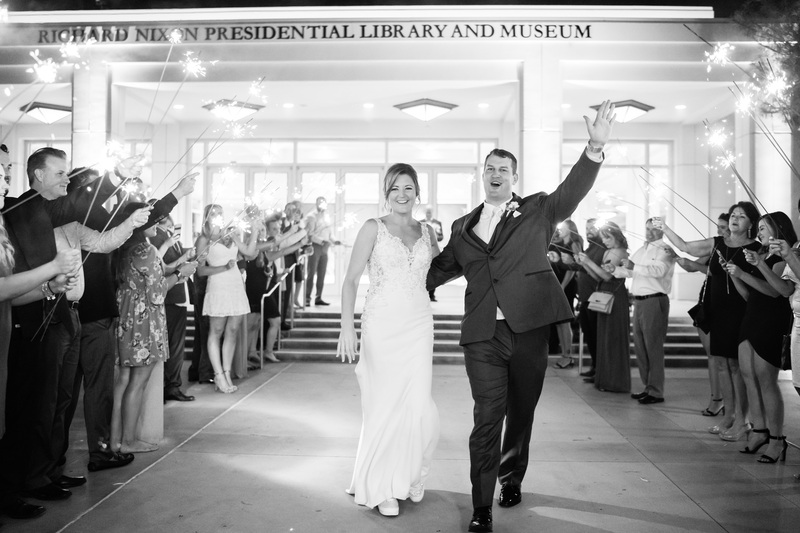 Take a peek at what previous brides and grooms have to say about their wedding experience at the Nixon Library. 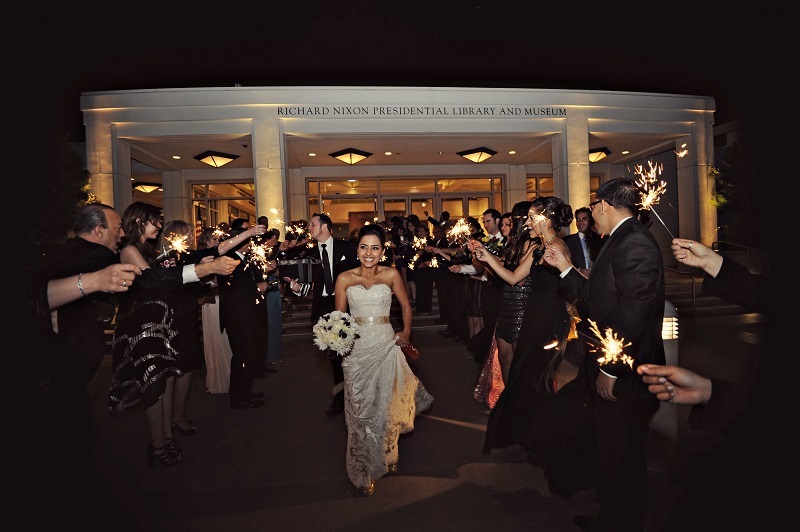 Please contact us for more information about hosting your special event at the Nixon Library.